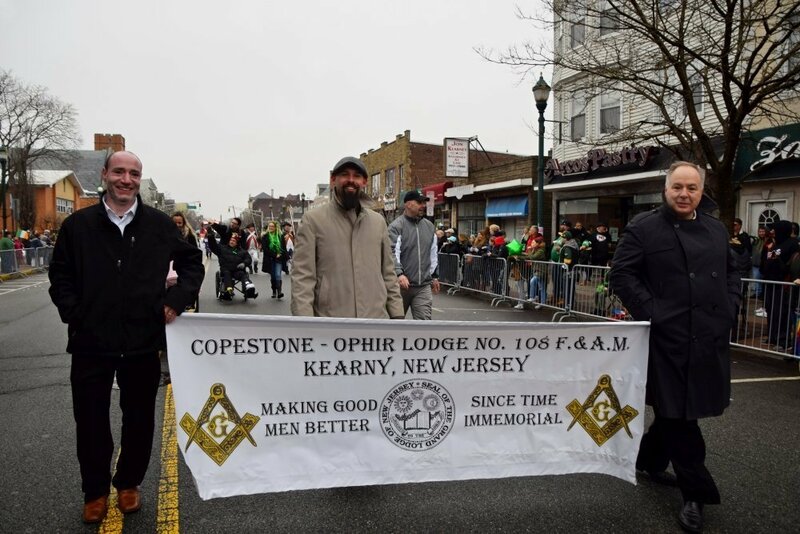 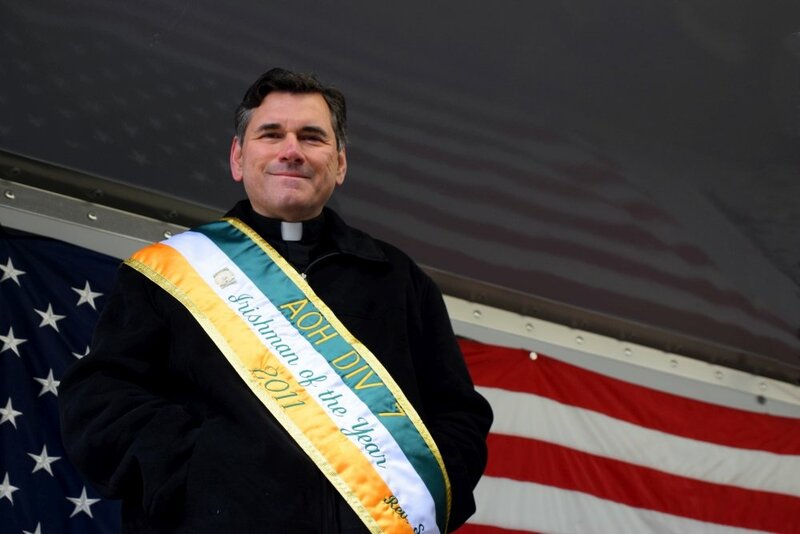 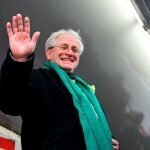 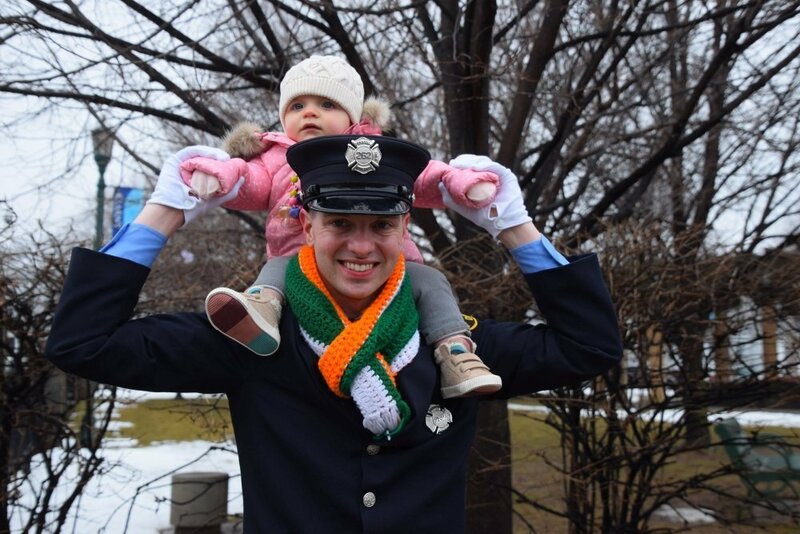 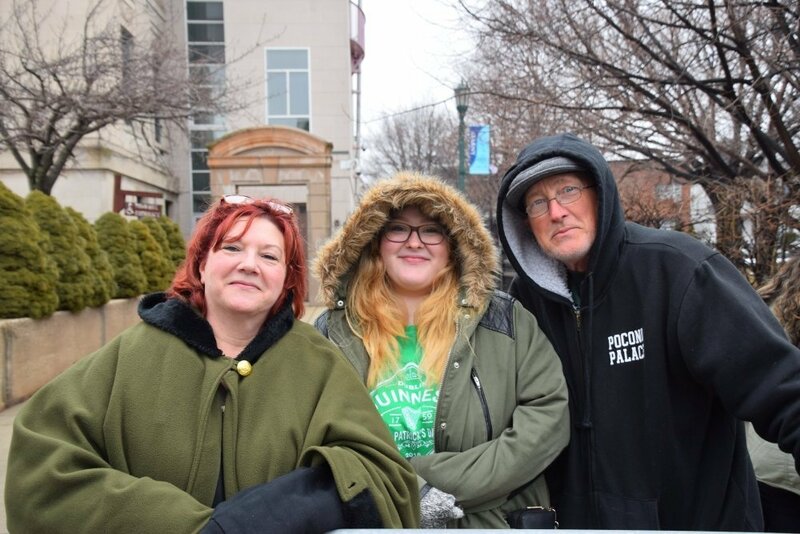 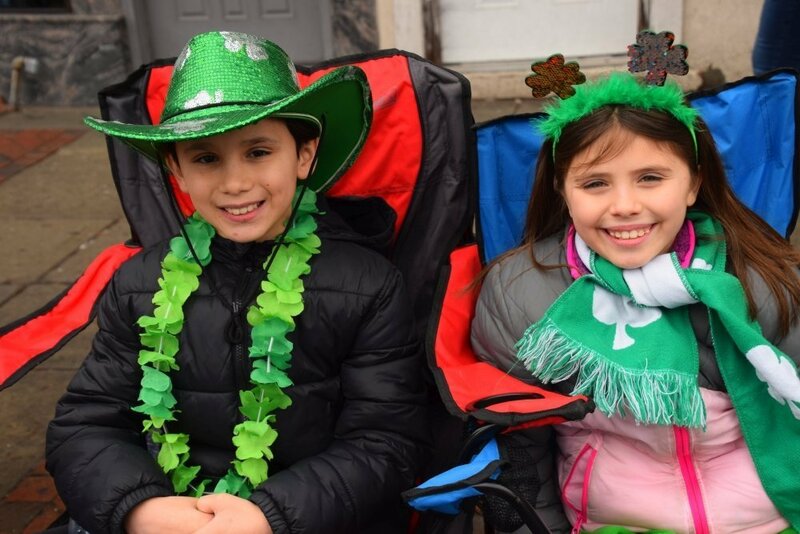 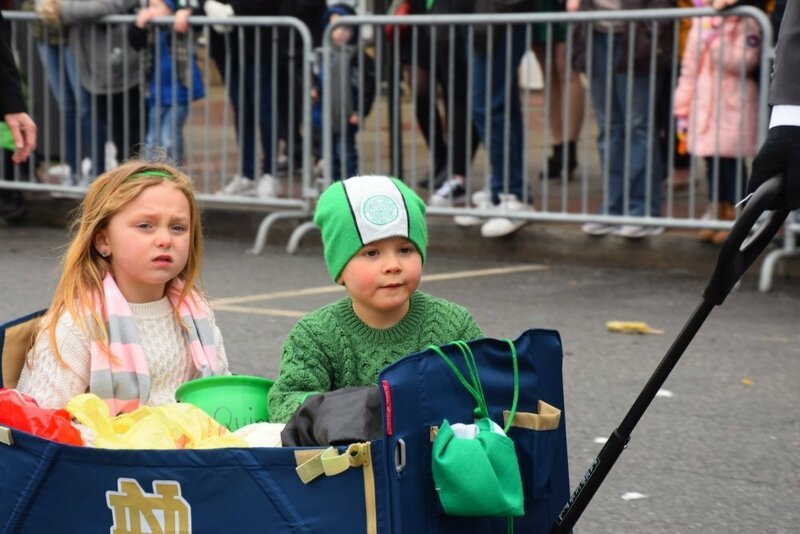 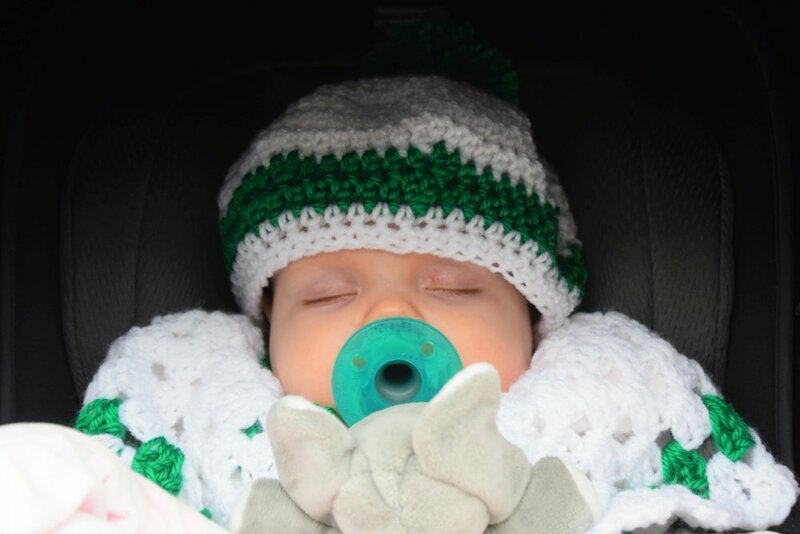 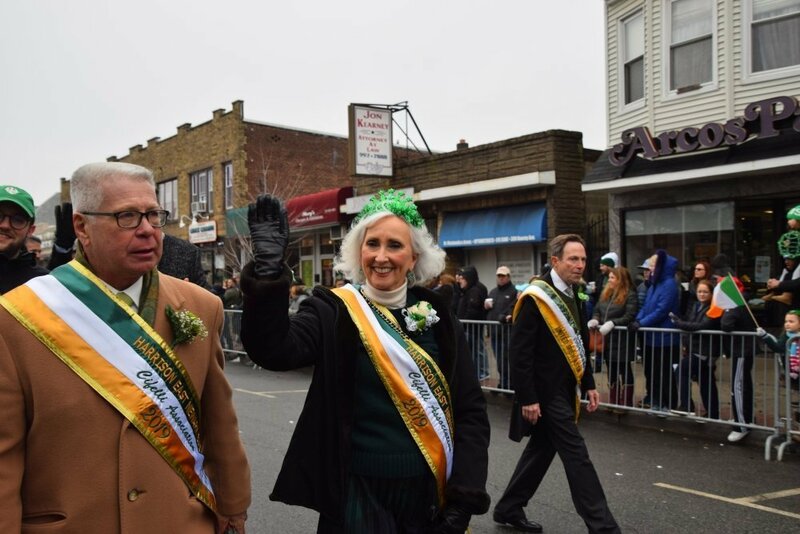 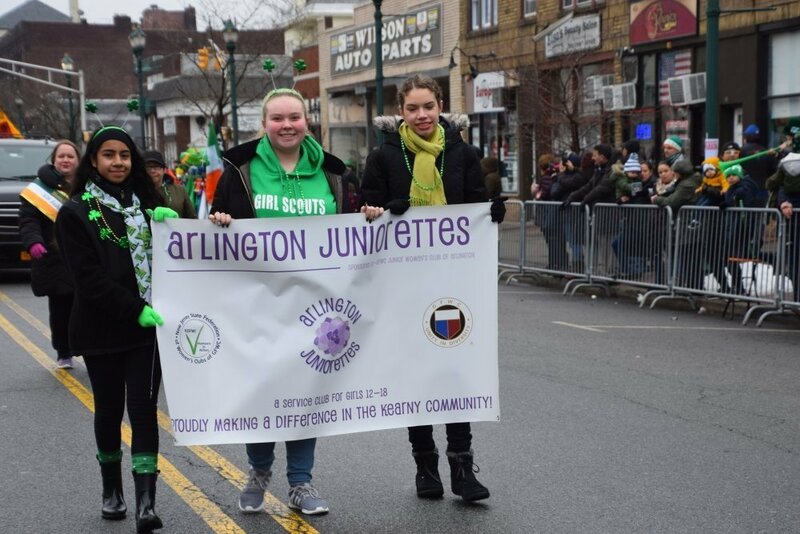 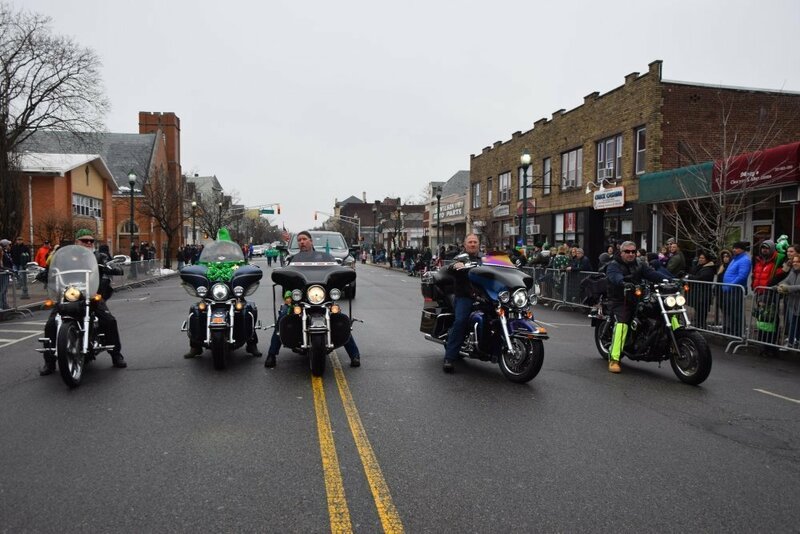 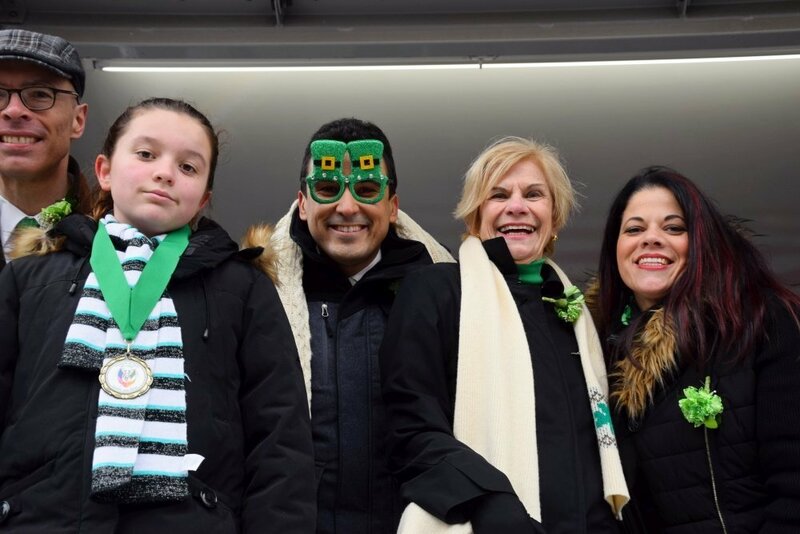 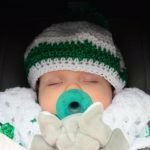 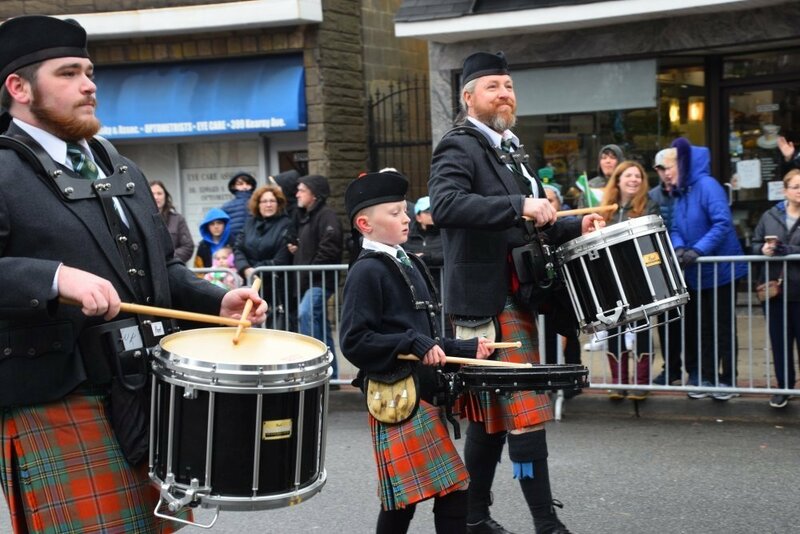 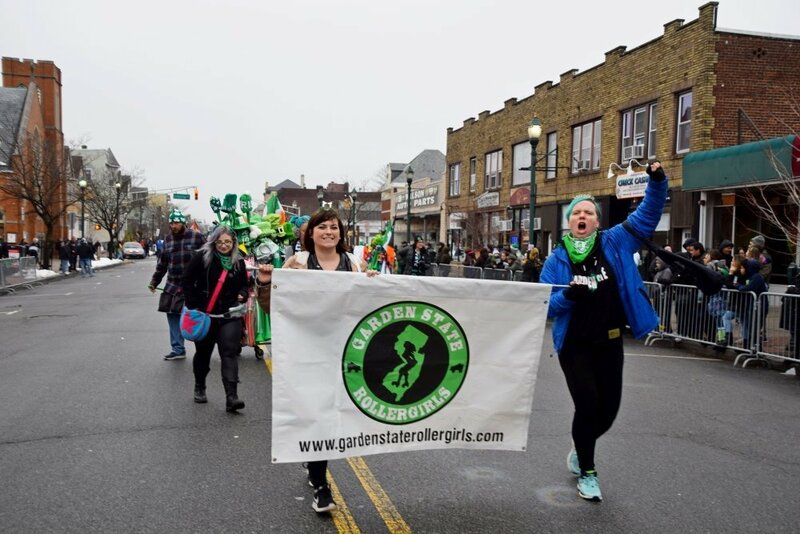 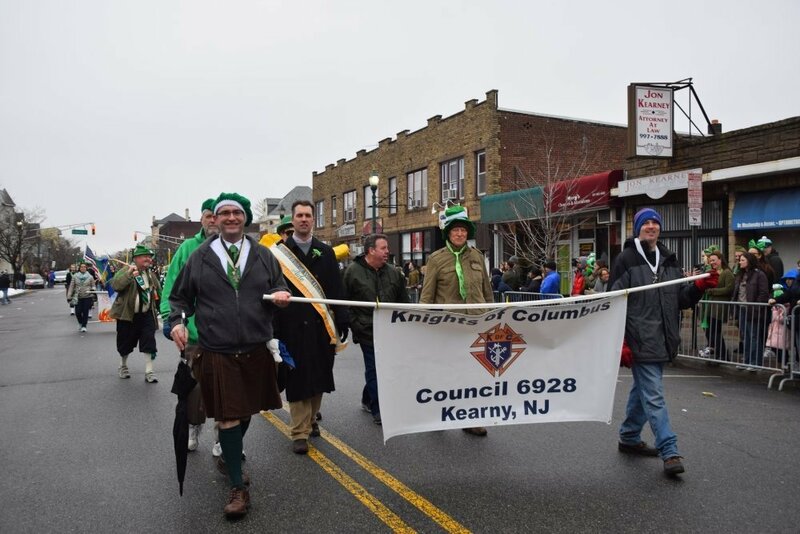 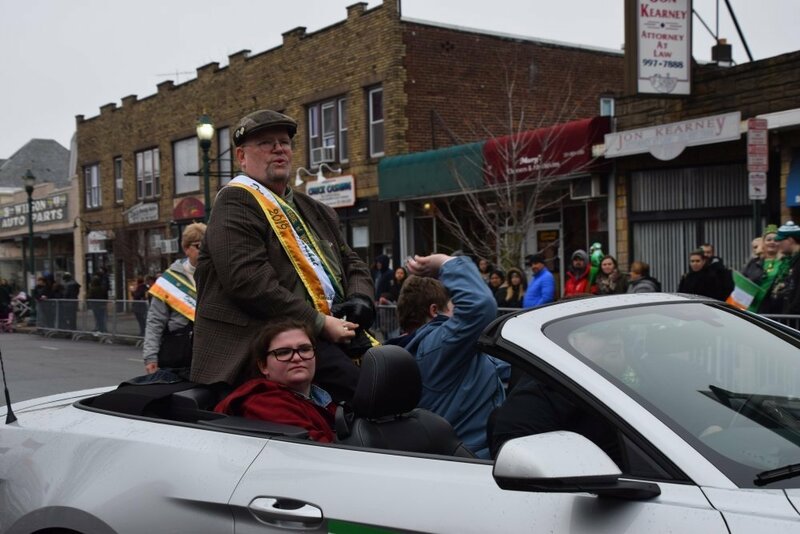 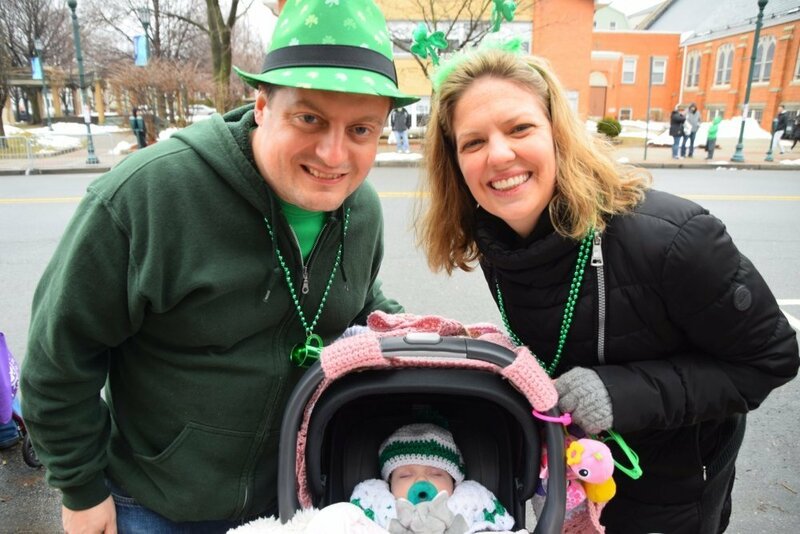 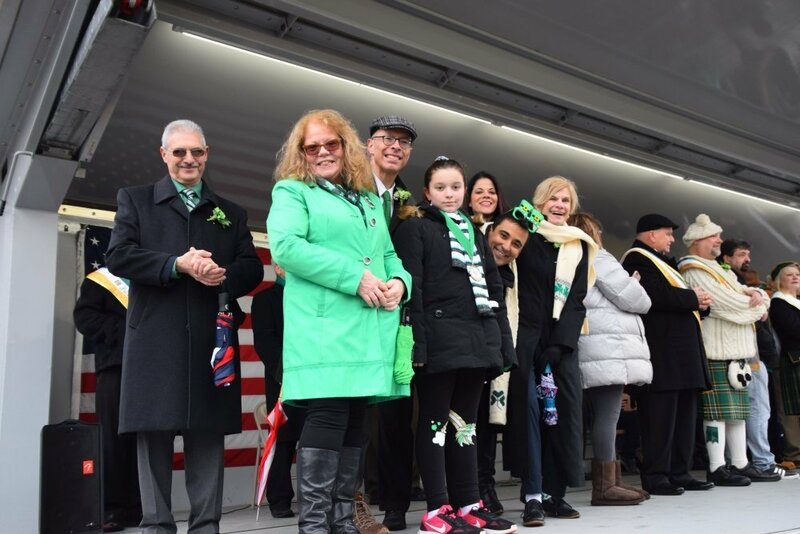 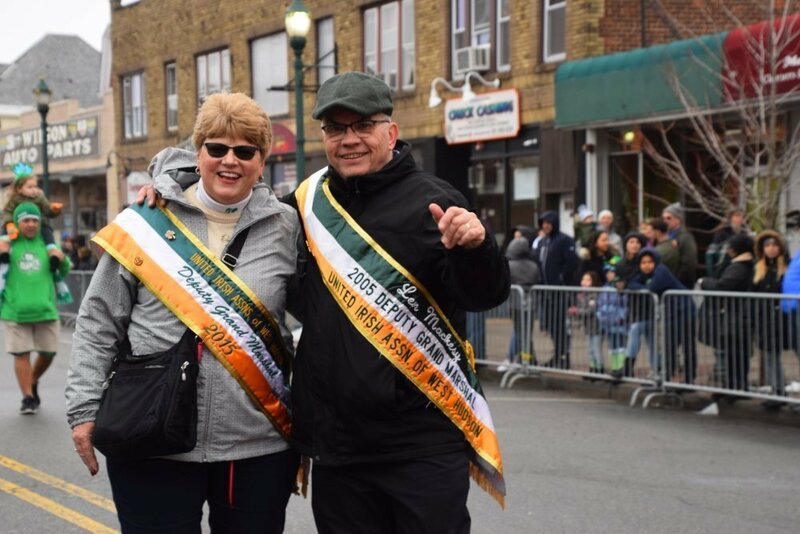 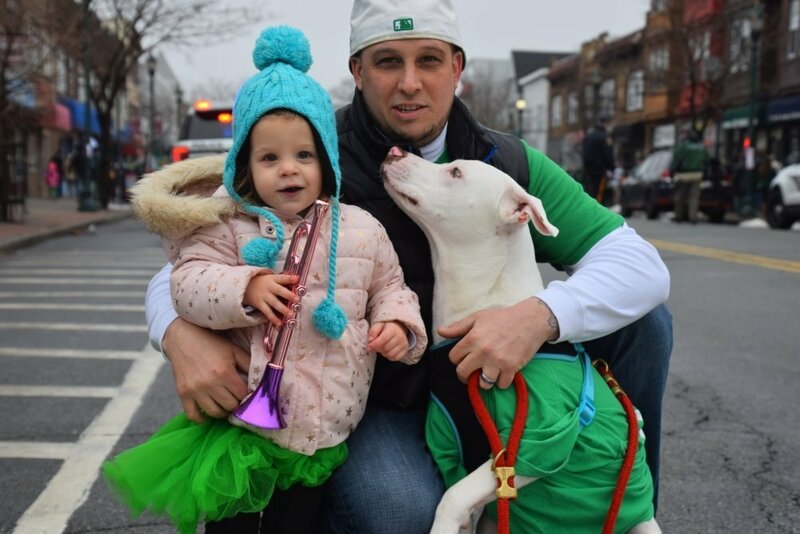 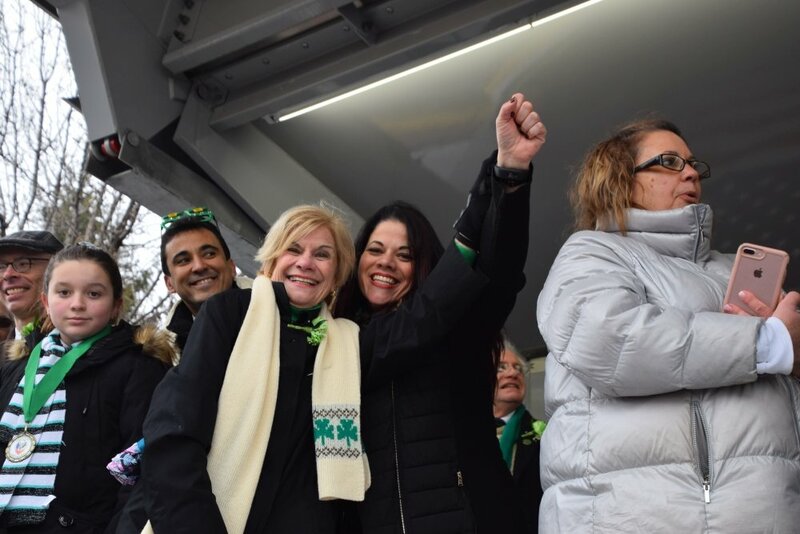 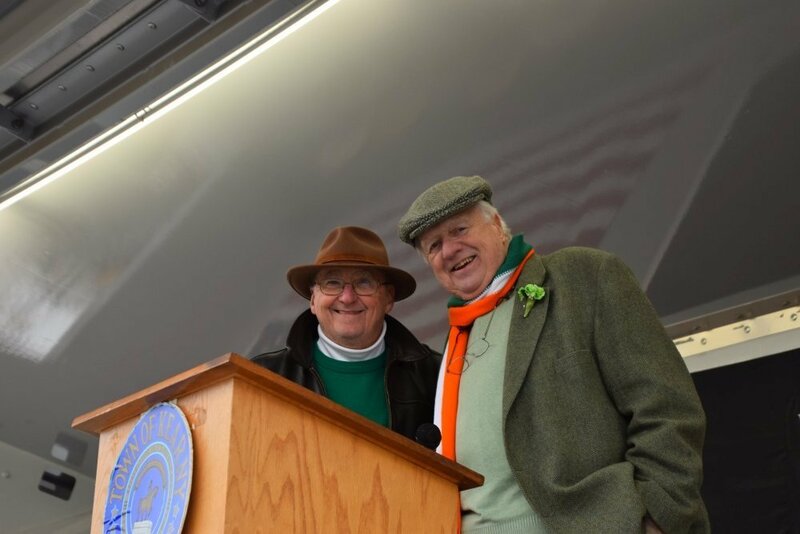 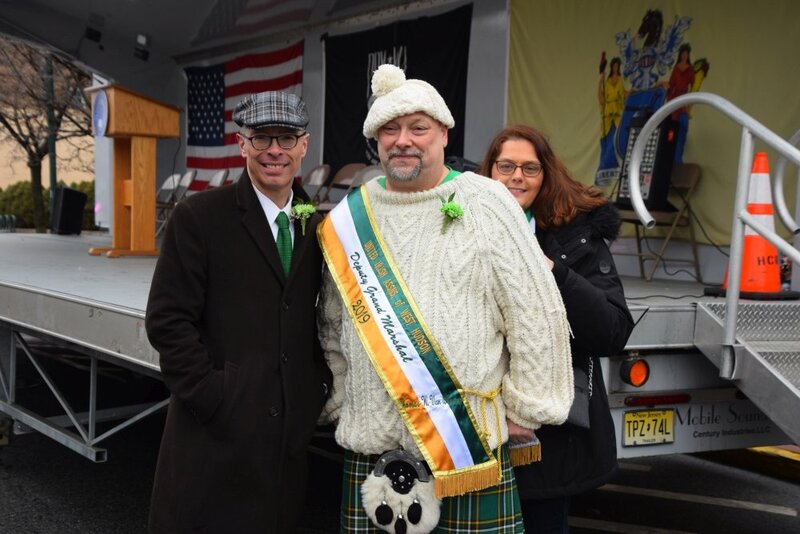 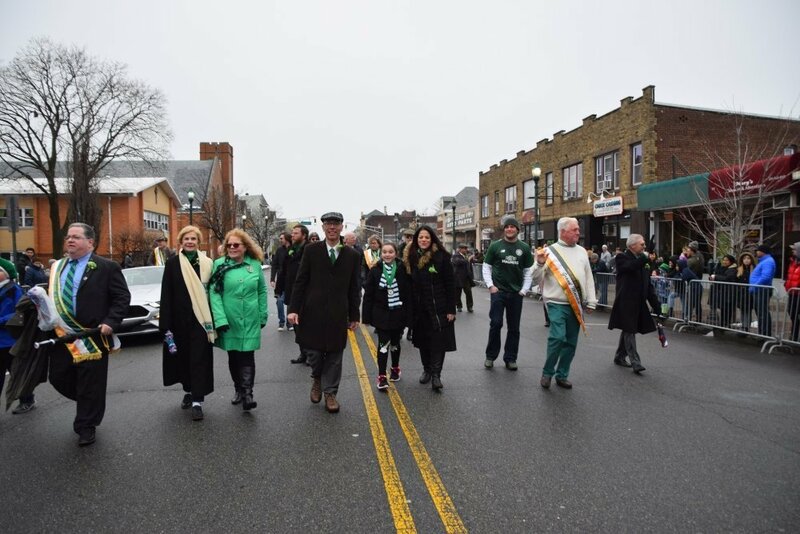 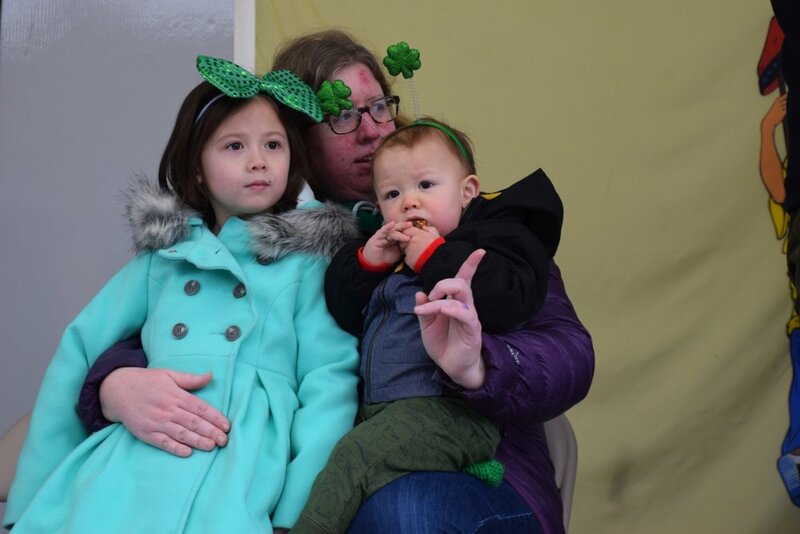 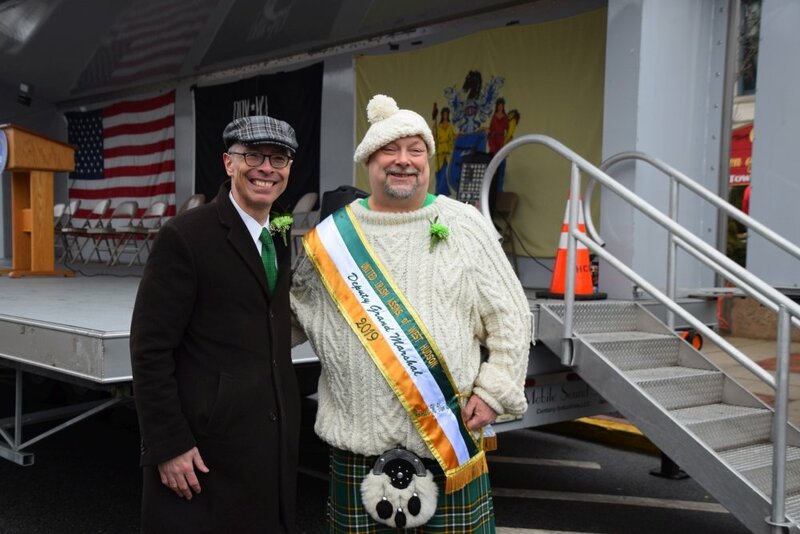 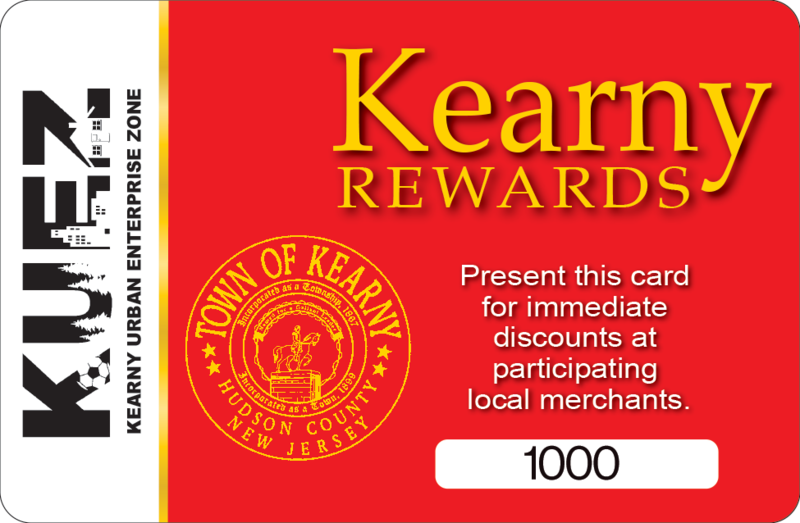 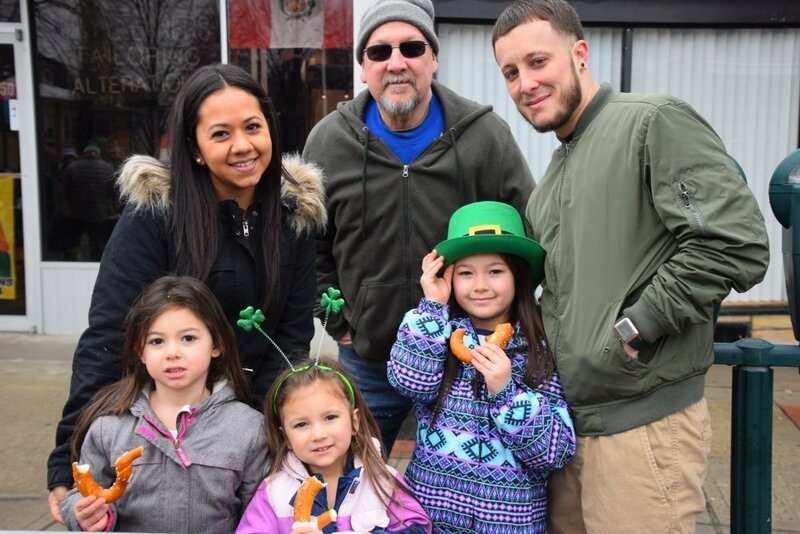 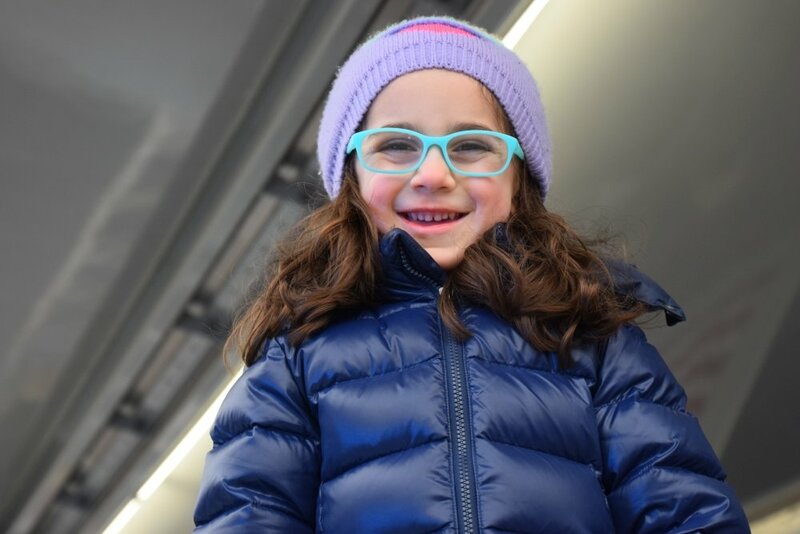 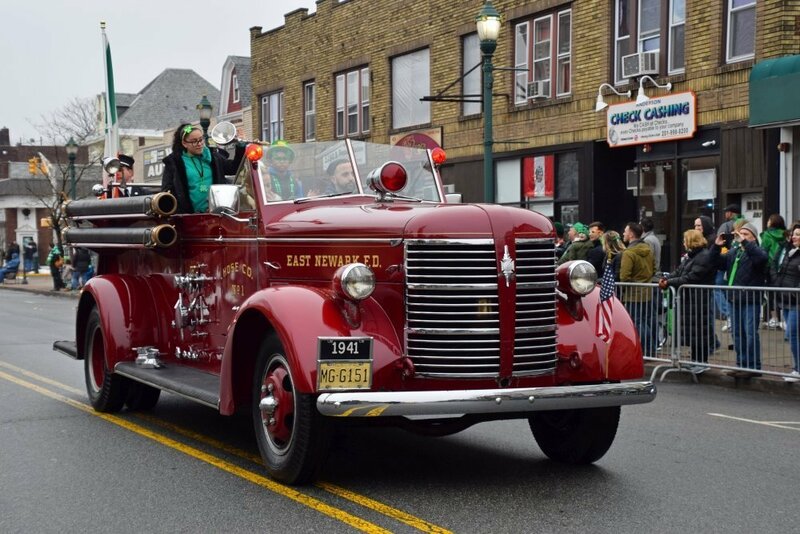 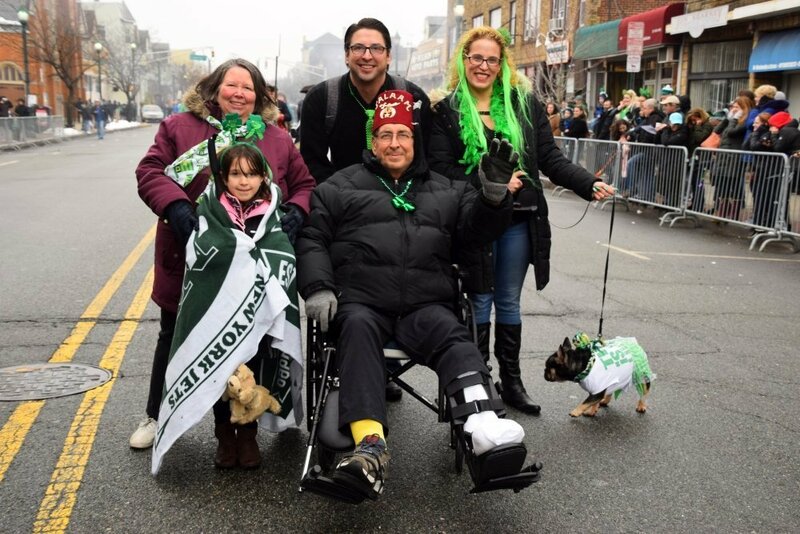 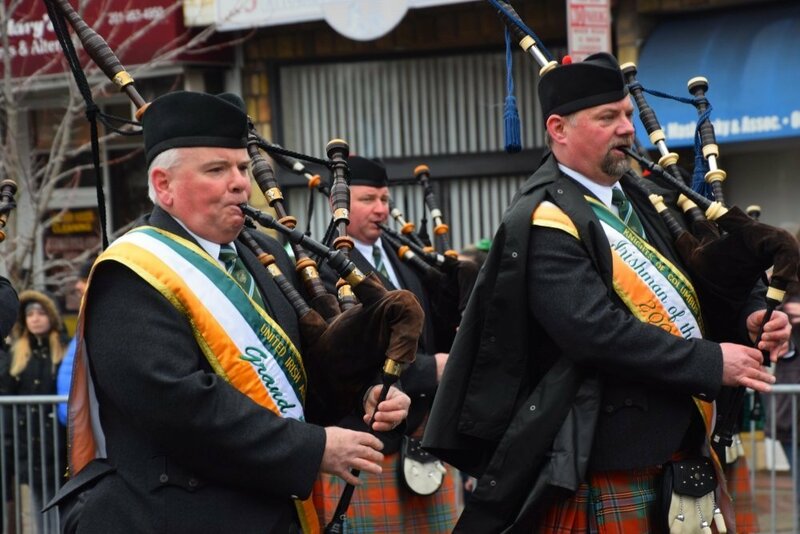 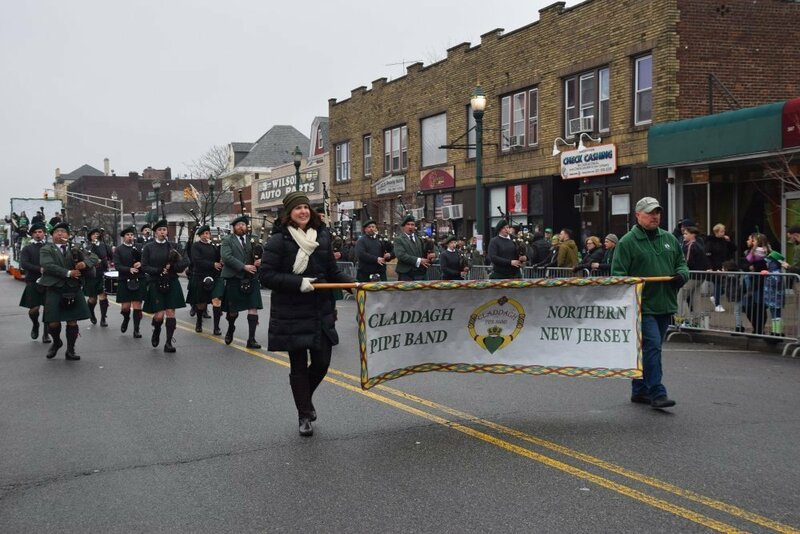 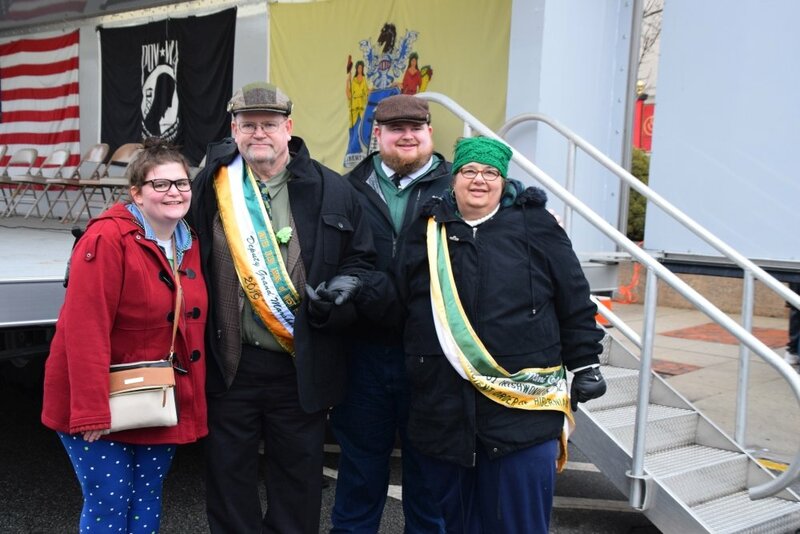 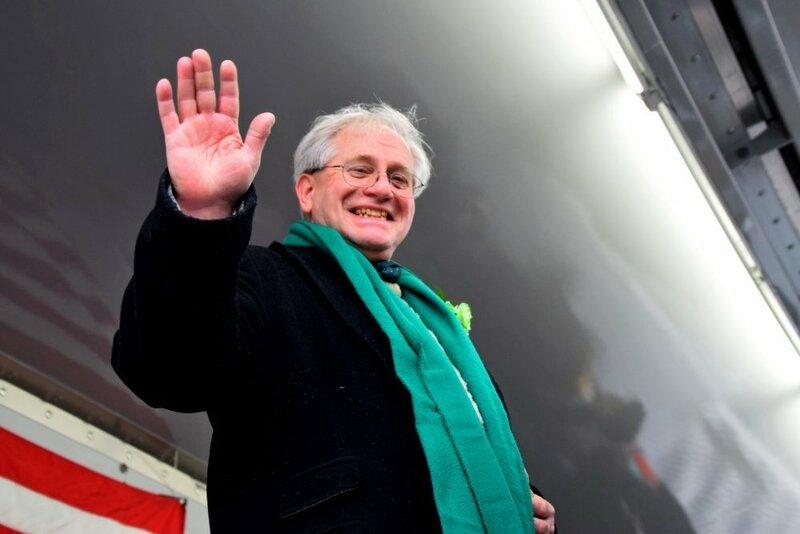 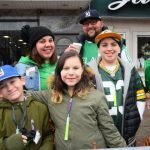 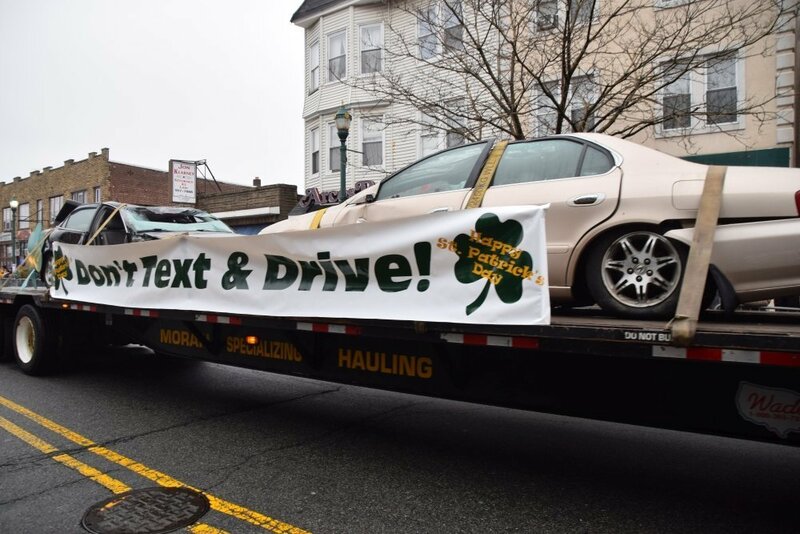 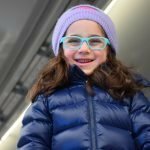 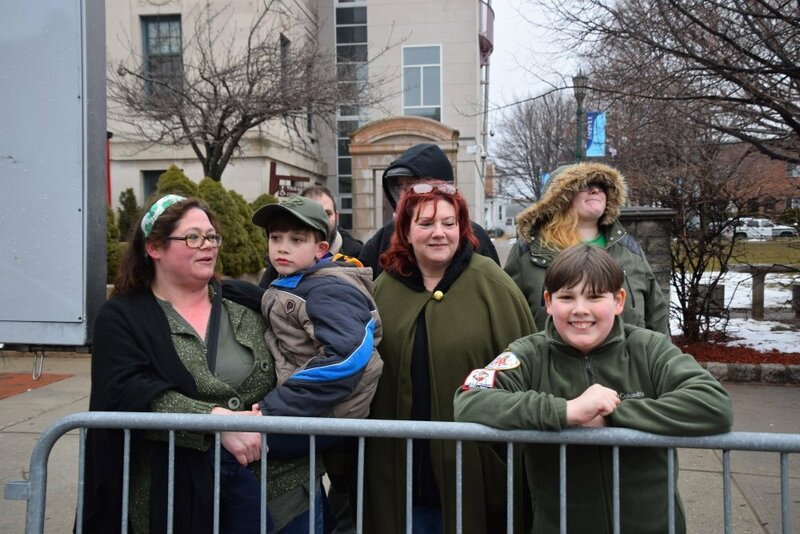 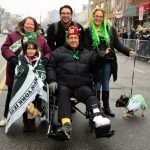 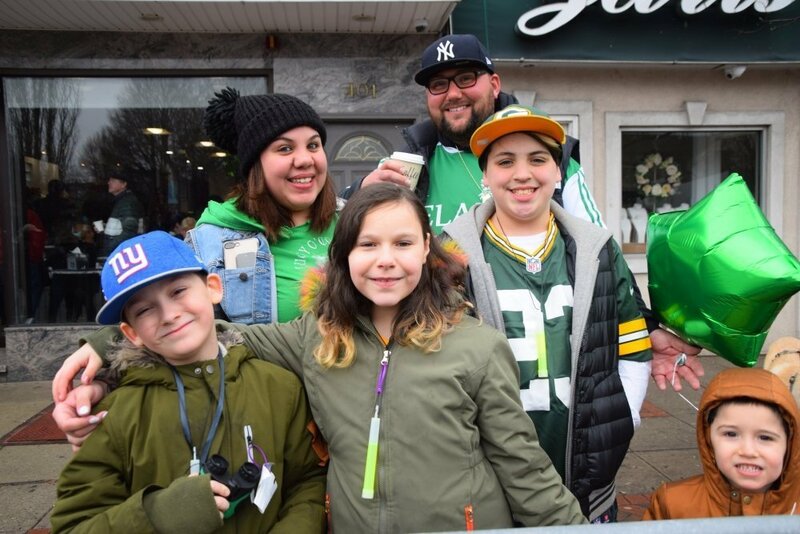 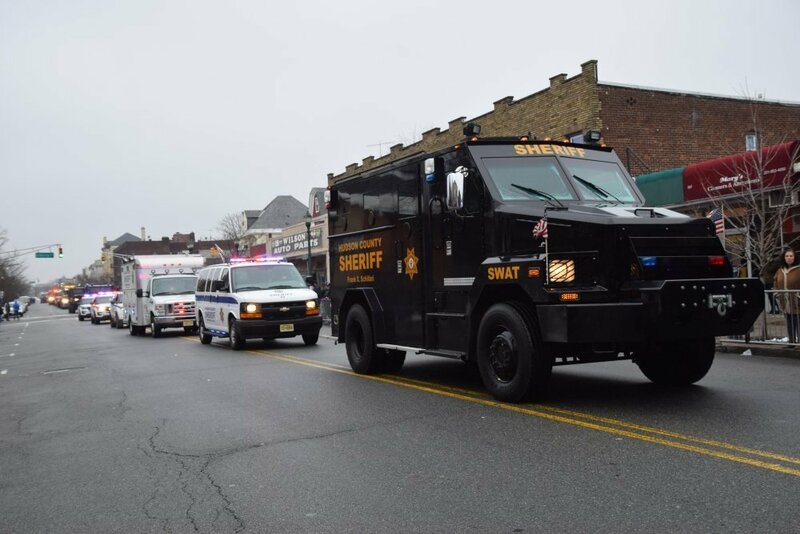 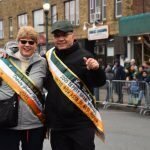 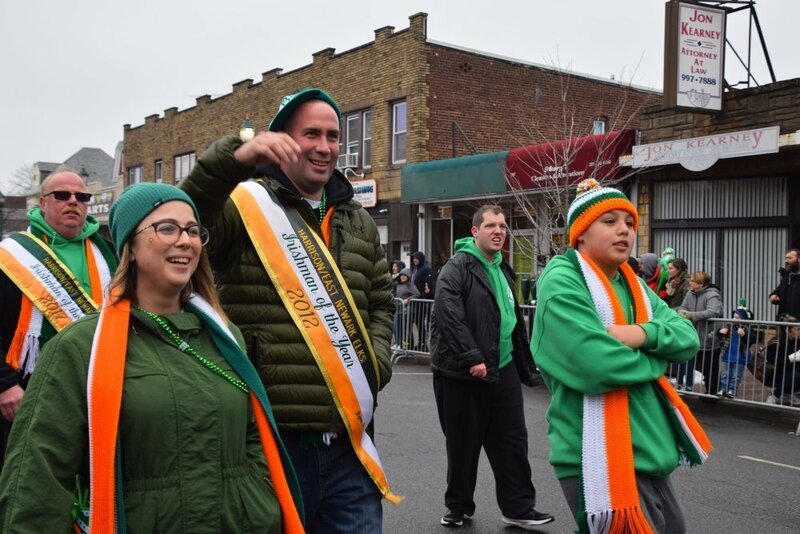 Kearny, NJ – On Sunday, March 10, 2019, Irish eyes were smiling at the 46th Annual West Hudson St. Patrick’s Day parade. 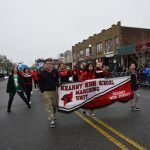 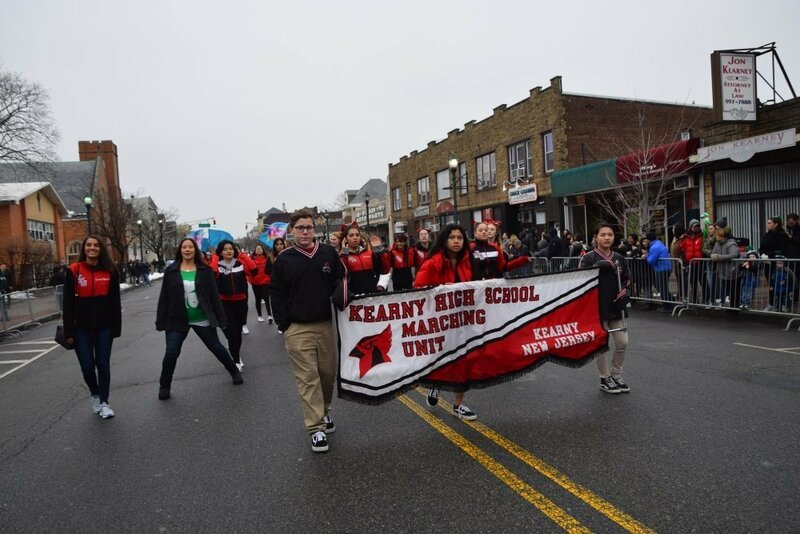 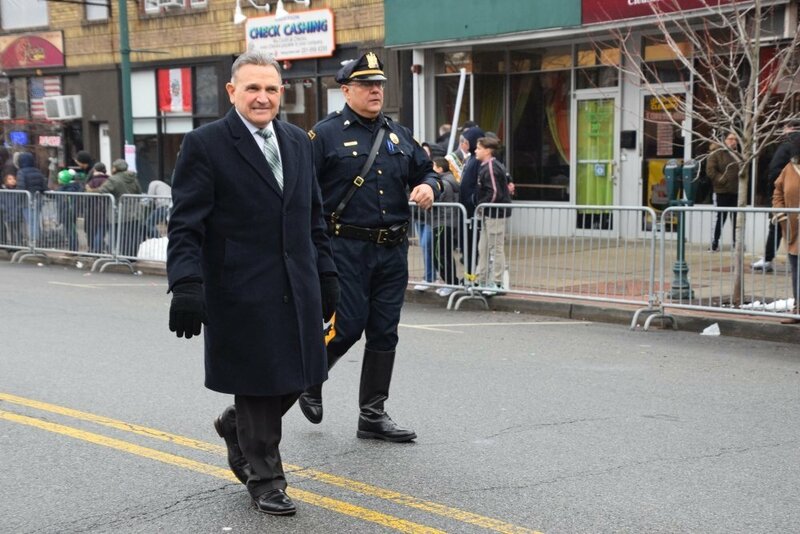 The rain cleared in time for thousands of people lined along Kearny Avenue to enjoy the parade. 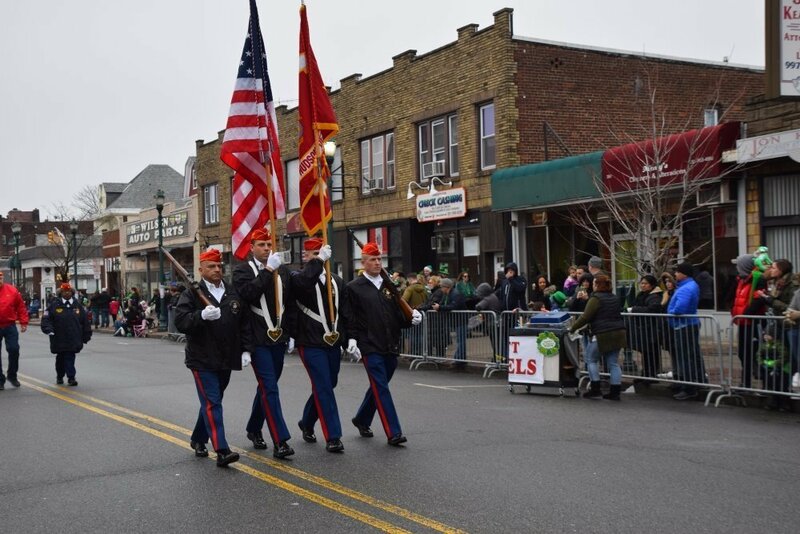 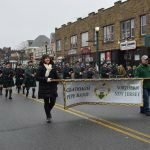 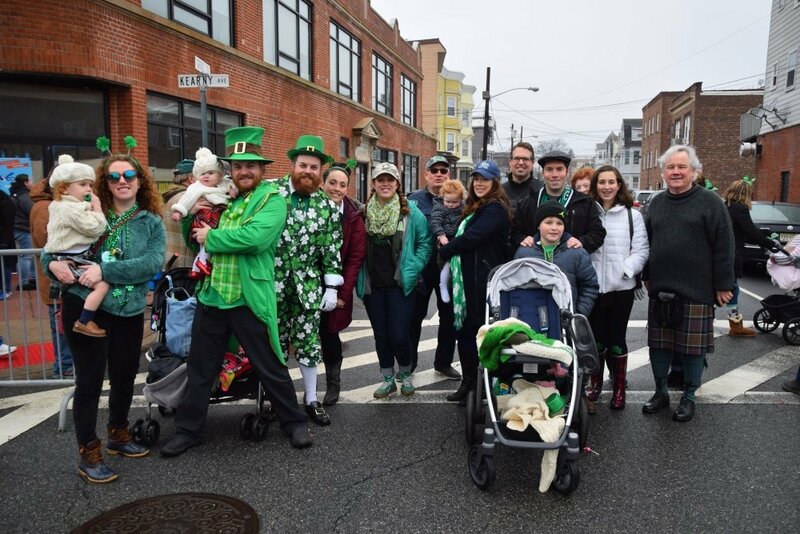 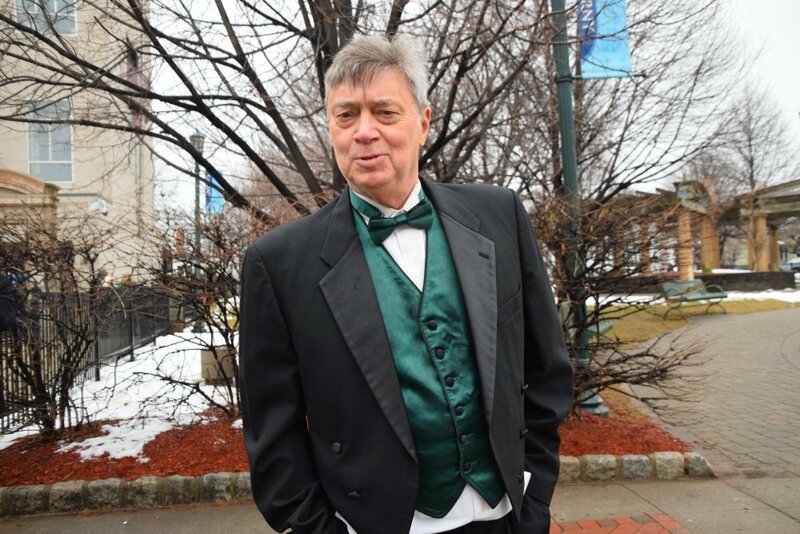 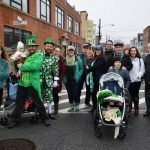 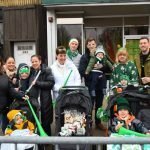 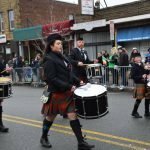 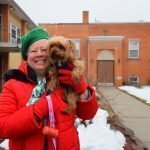 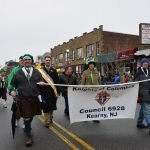 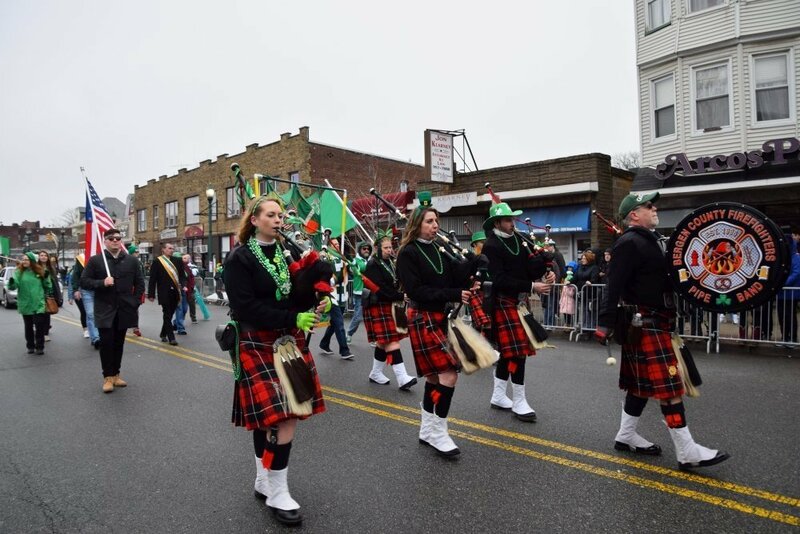 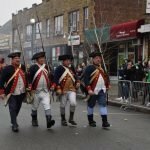 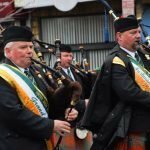 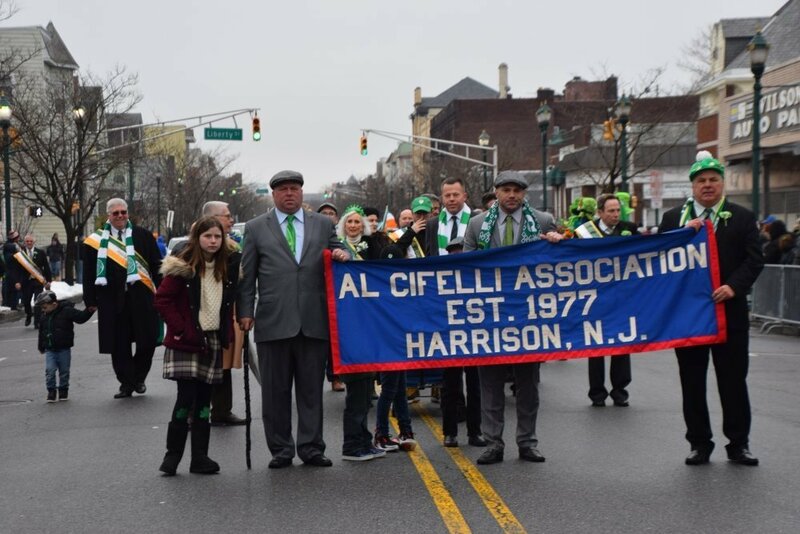 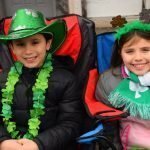 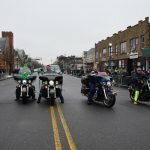 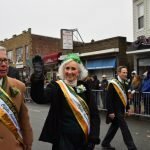 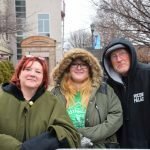 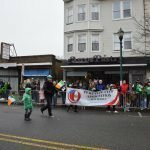 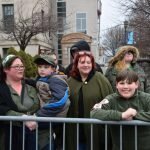 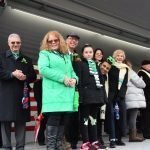 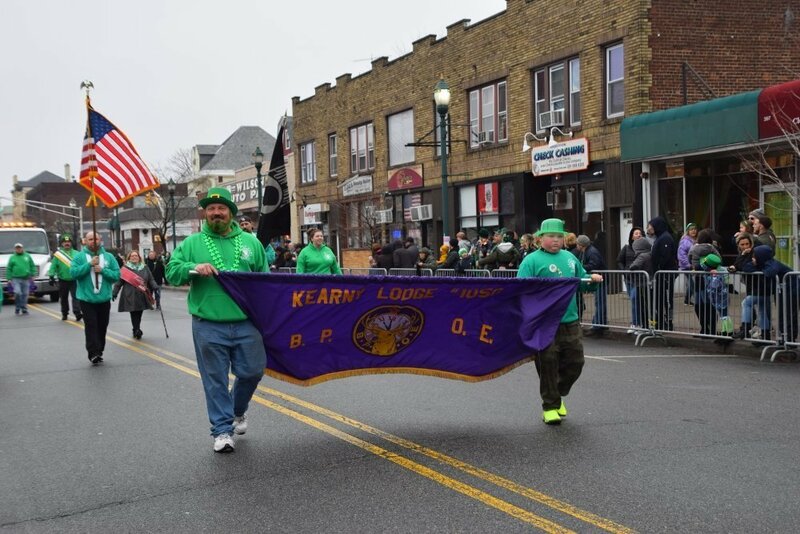 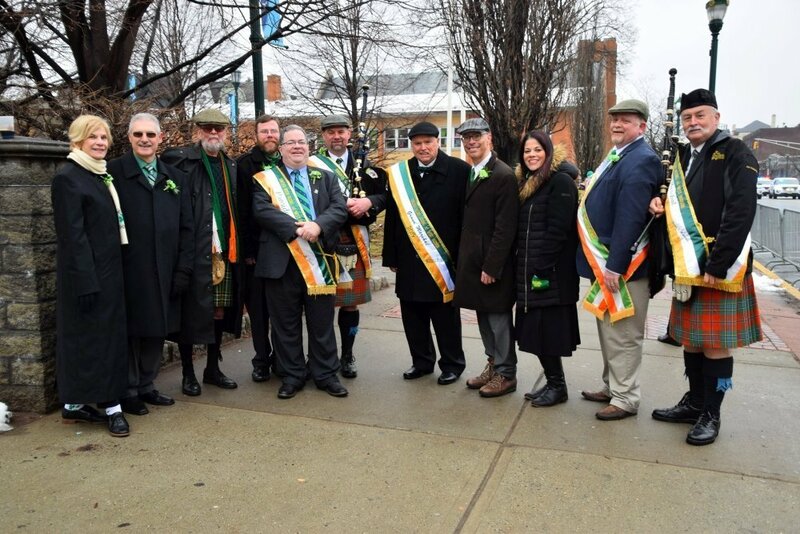 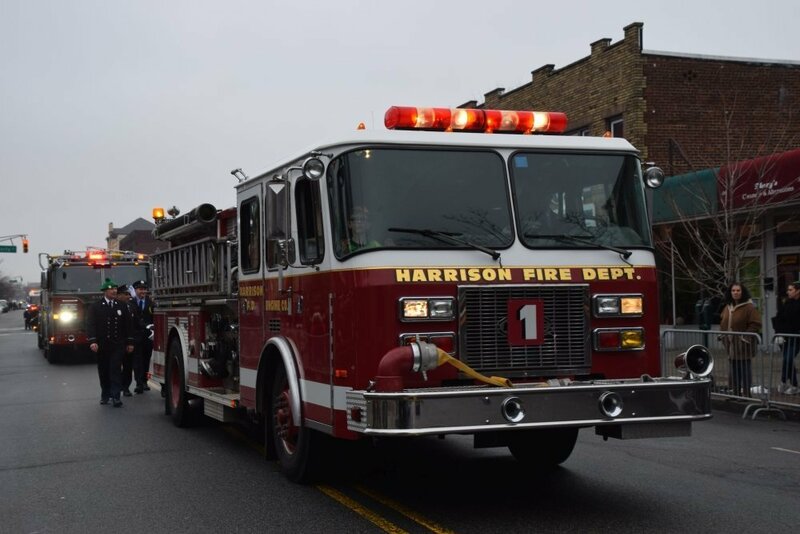 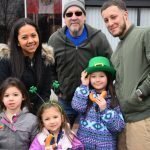 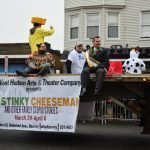 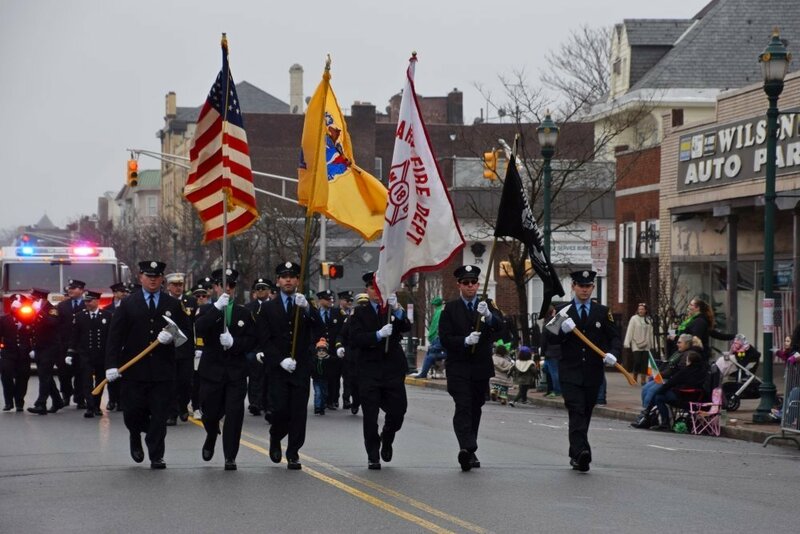 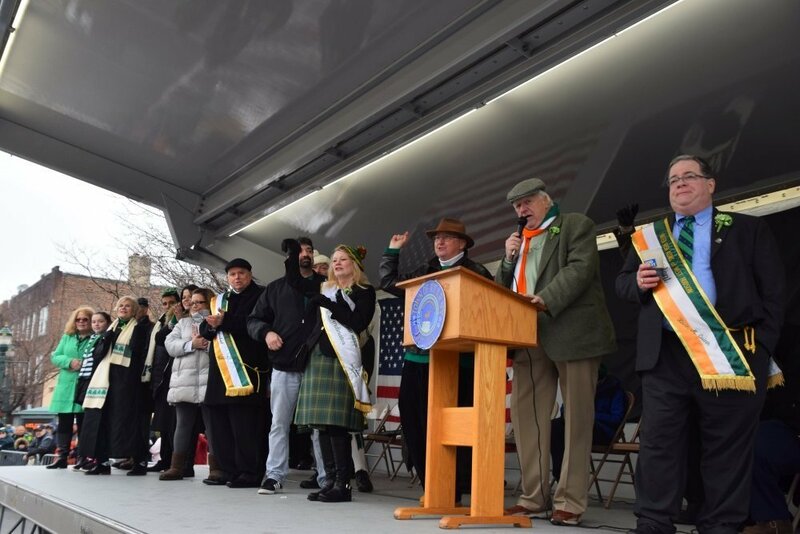 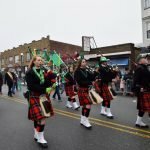 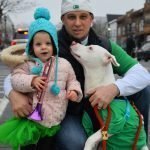 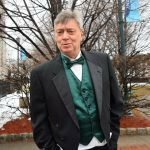 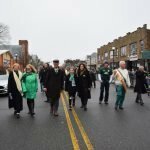 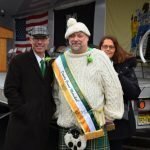 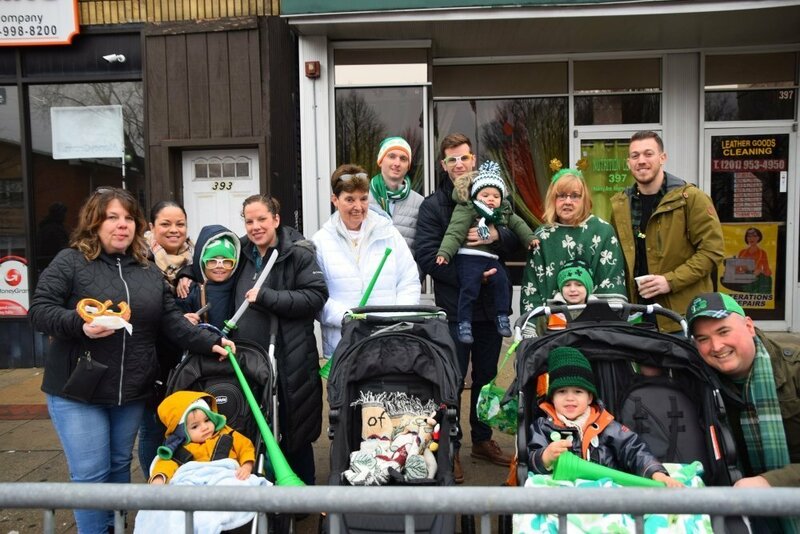 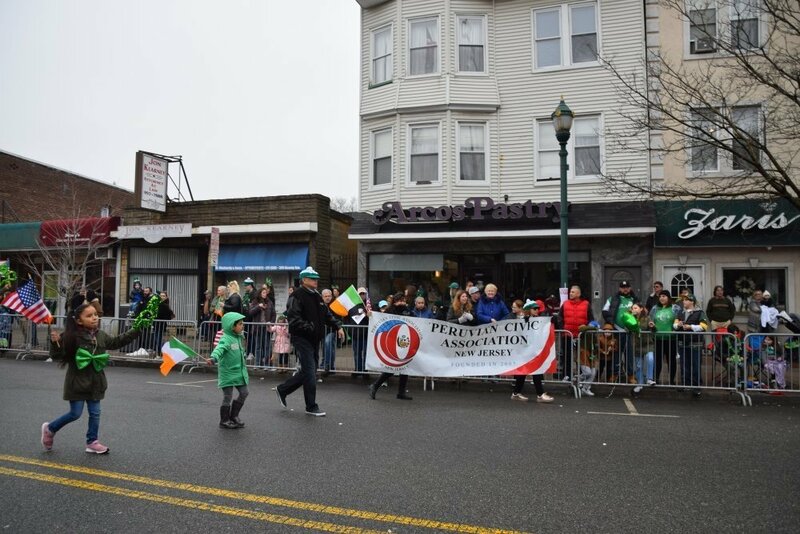 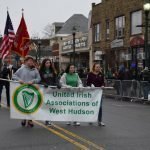 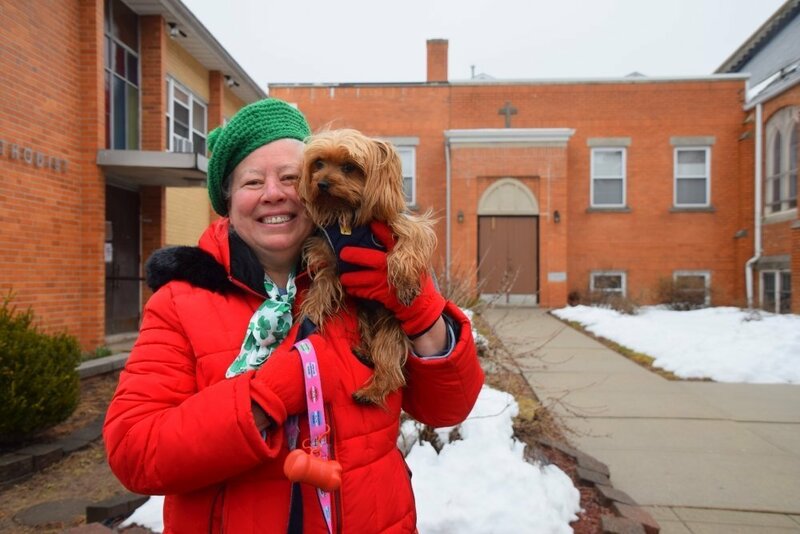 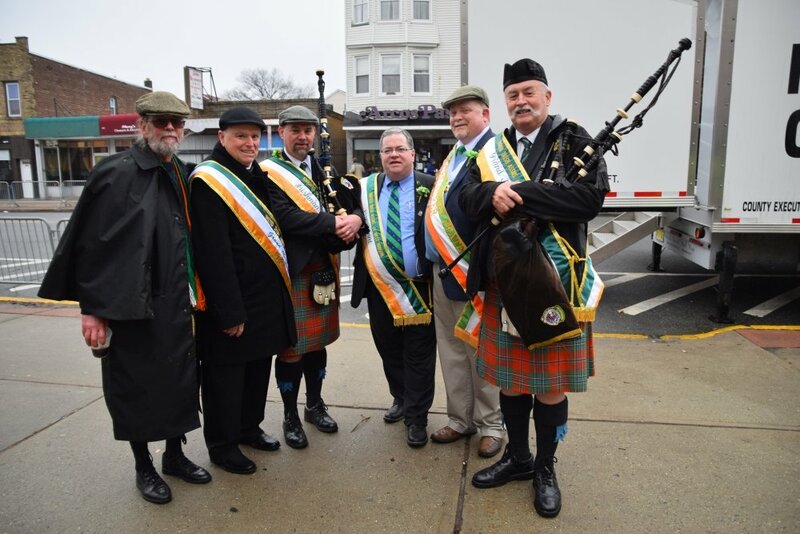 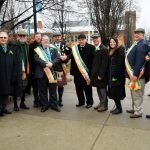 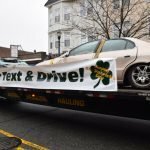 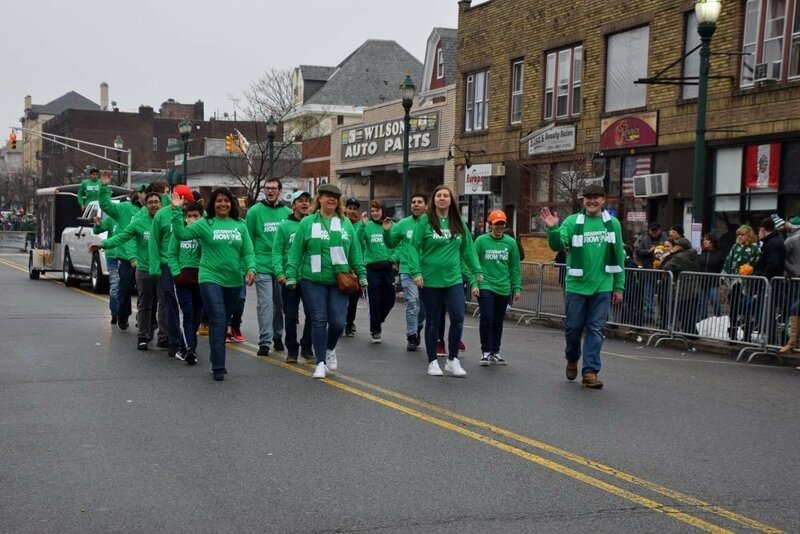 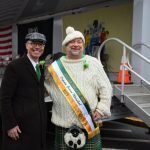 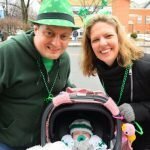 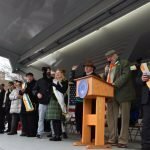 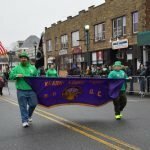 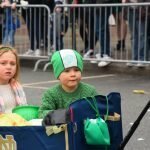 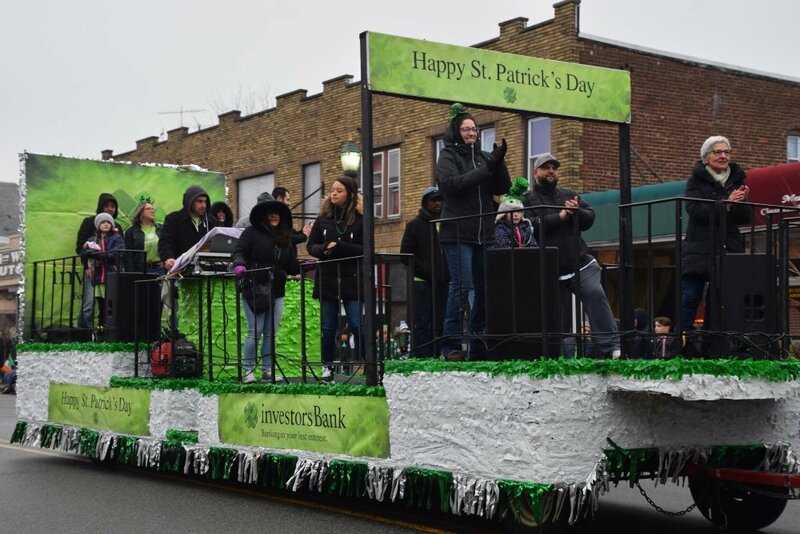 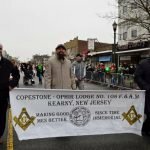 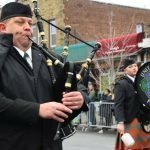 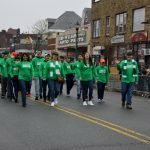 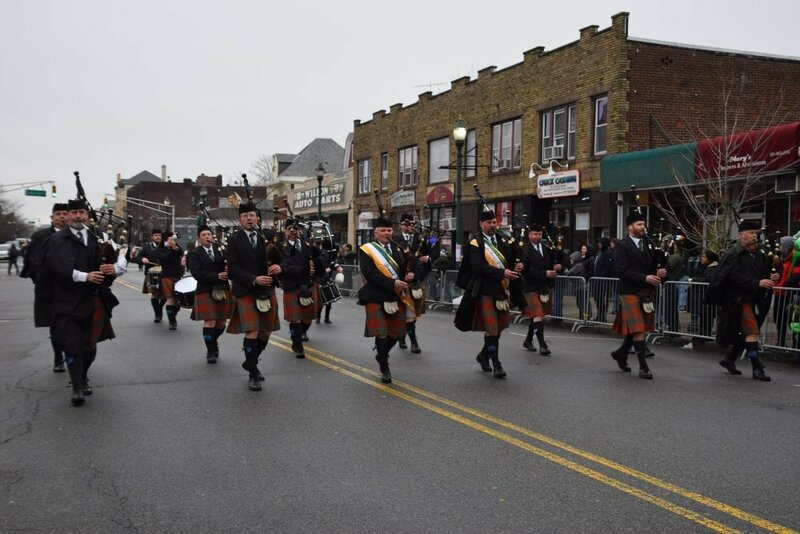 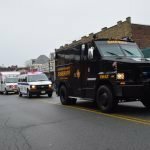 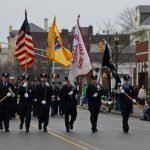 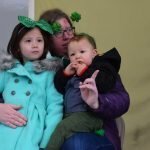 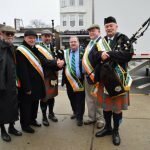 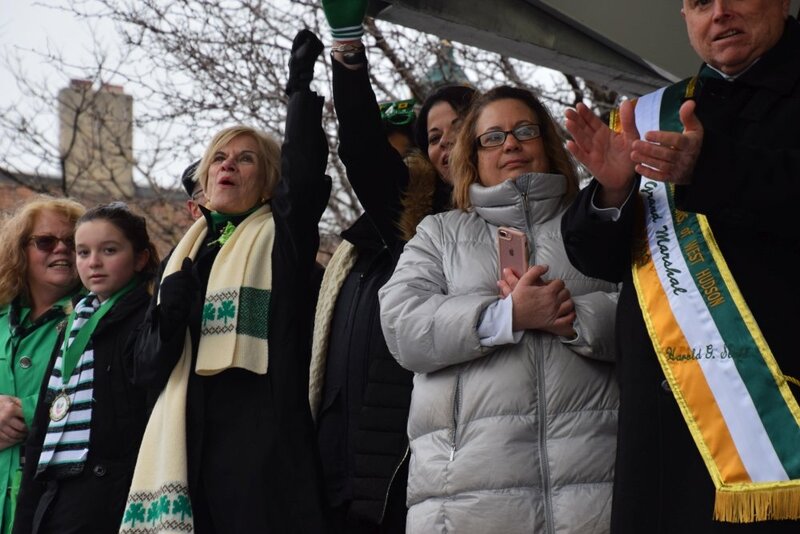 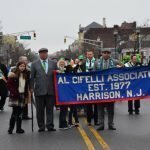 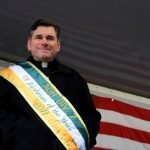 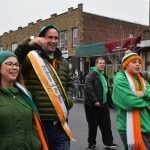 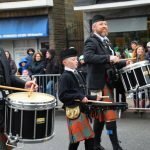 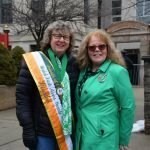 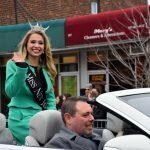 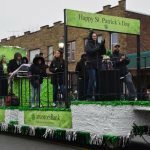 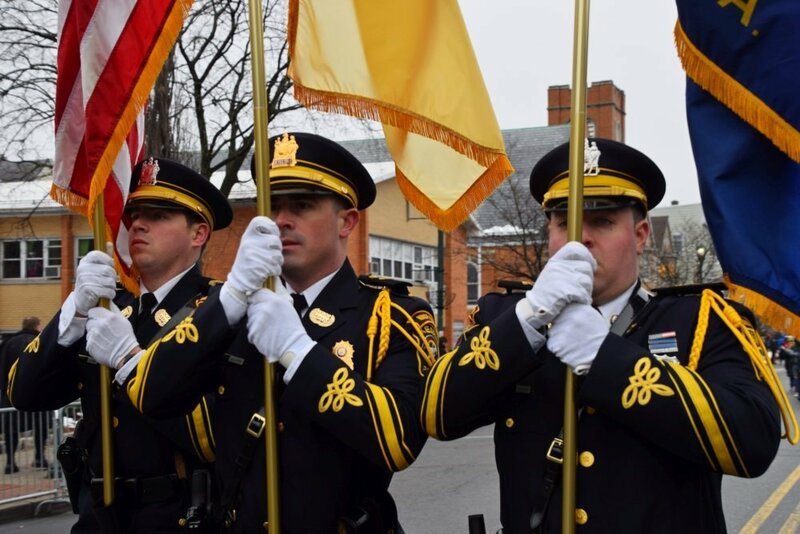 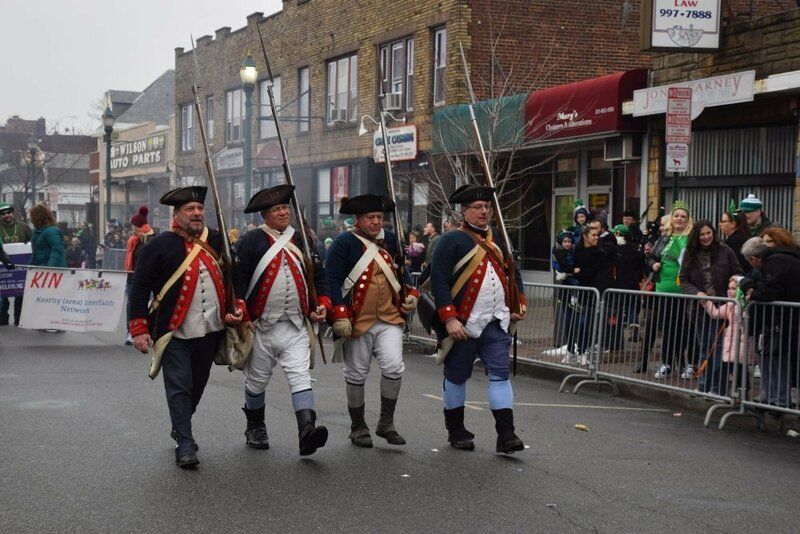 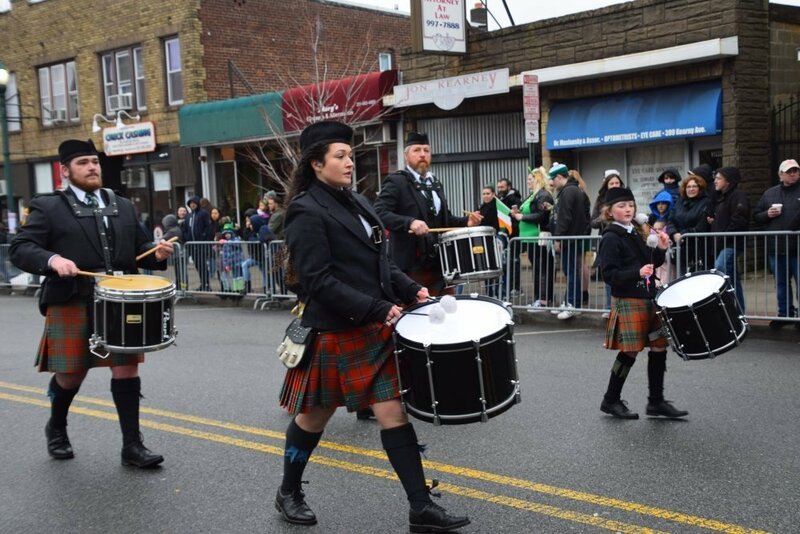 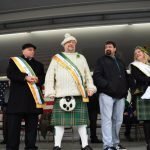 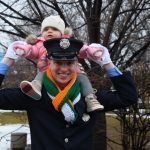 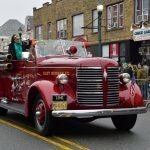 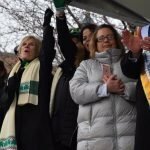 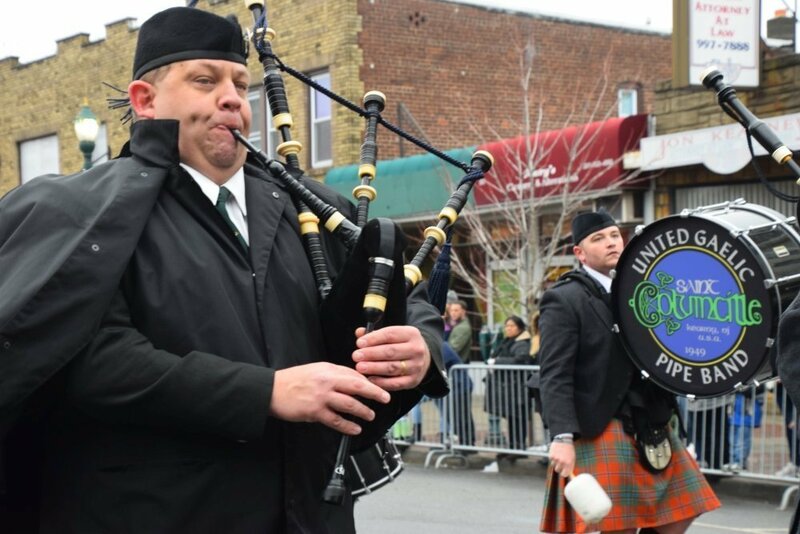 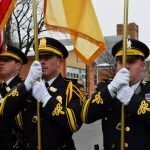 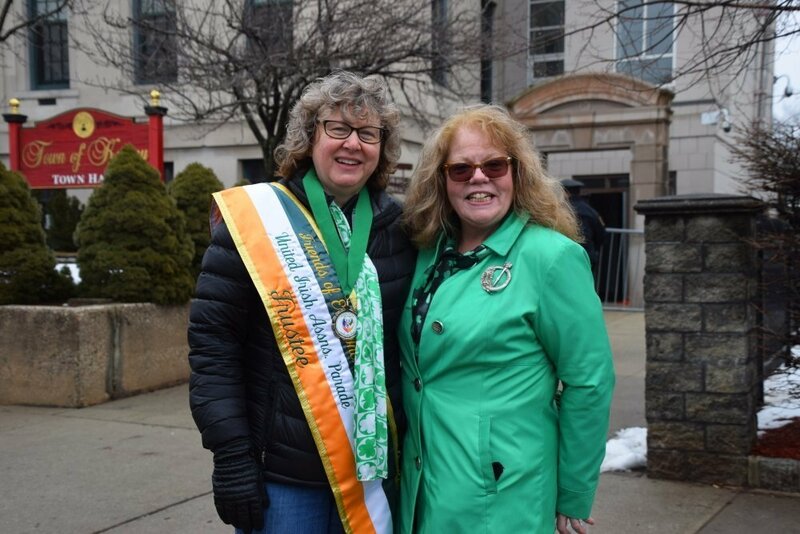 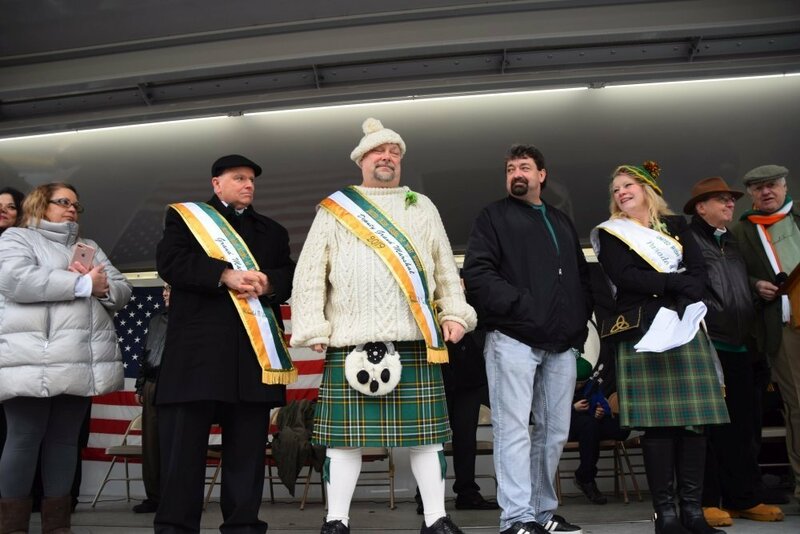 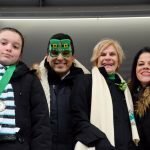 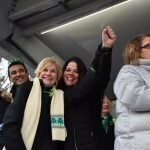 Organized annually by the United Irish Associations of West Hudson, the parade began in Harrison and traveled along Frank E. Rodgers Boulevard in Harrison, Central Avenue in East Newark and Kearny Avenue in Kearny, with a closing ceremony at Kearny Town Hall. 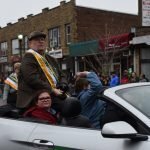 Congratulations to this year’s Parade Grand Marshall Harold G. Stahl and Deputy Grand Marshalls Kenneth Evans and Thomas W. Van Blarcum. 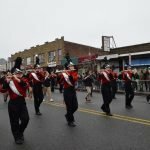 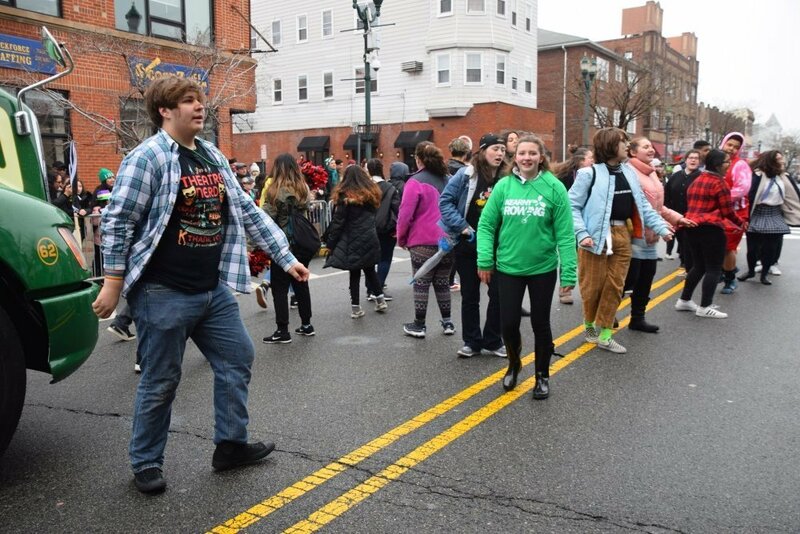 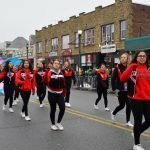 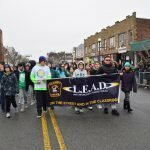 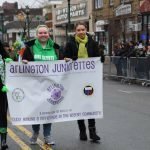 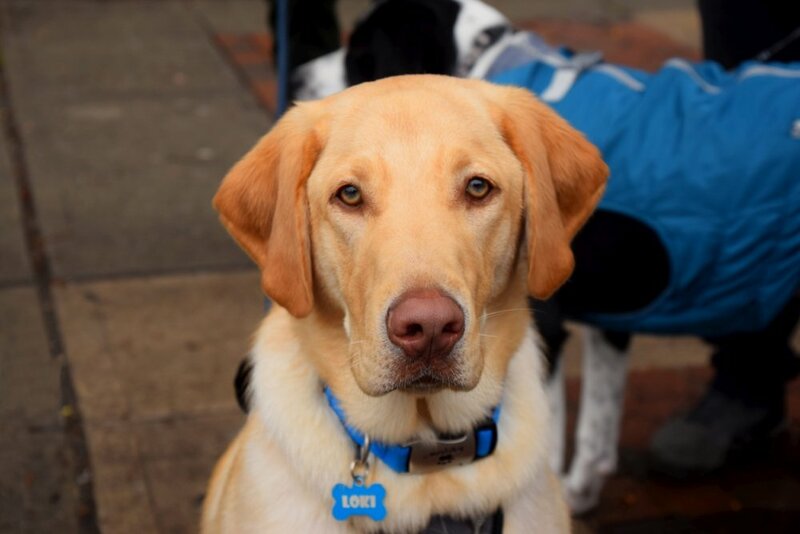 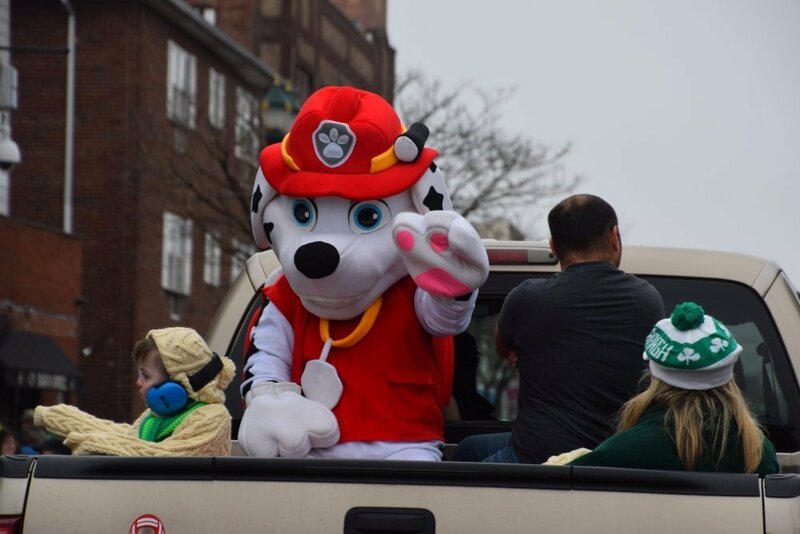 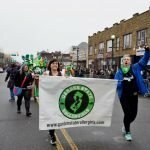 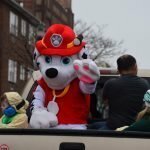 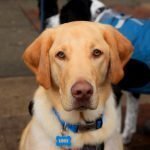 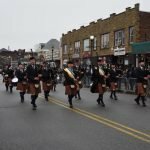 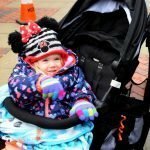 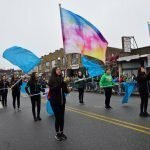 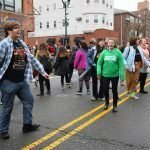 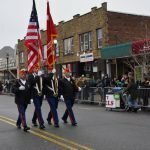 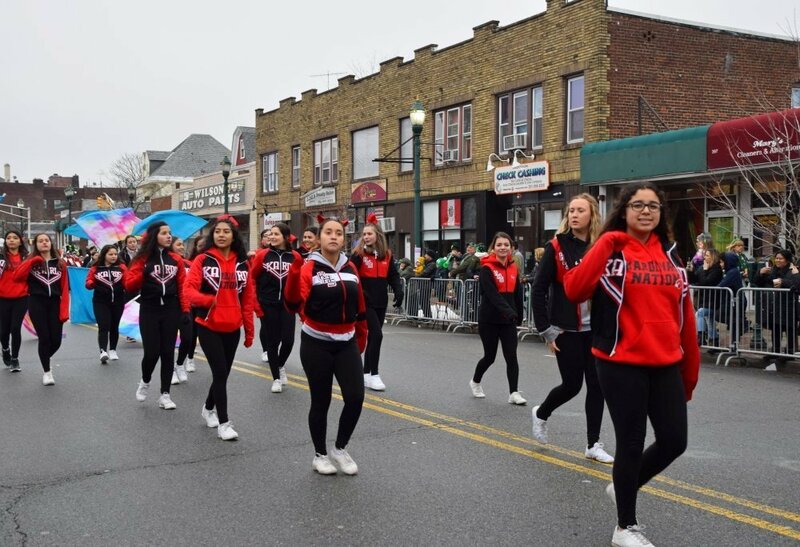 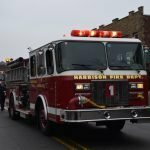 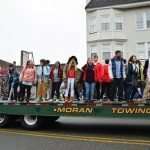 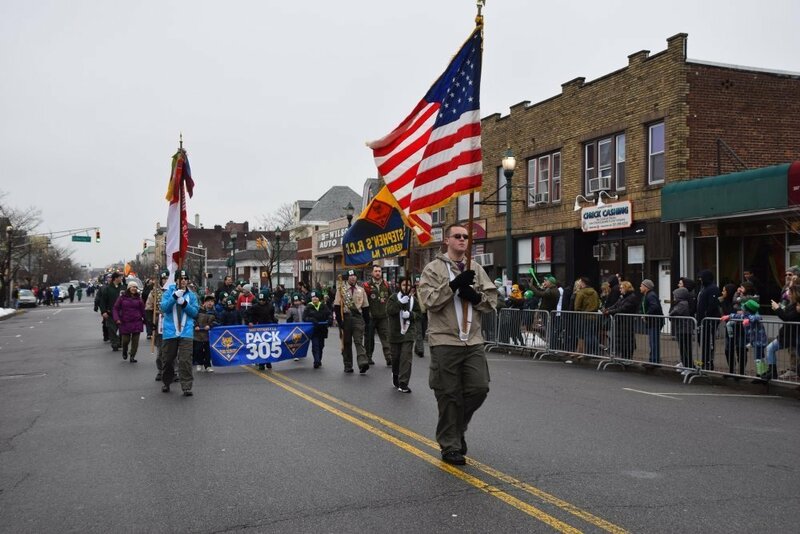 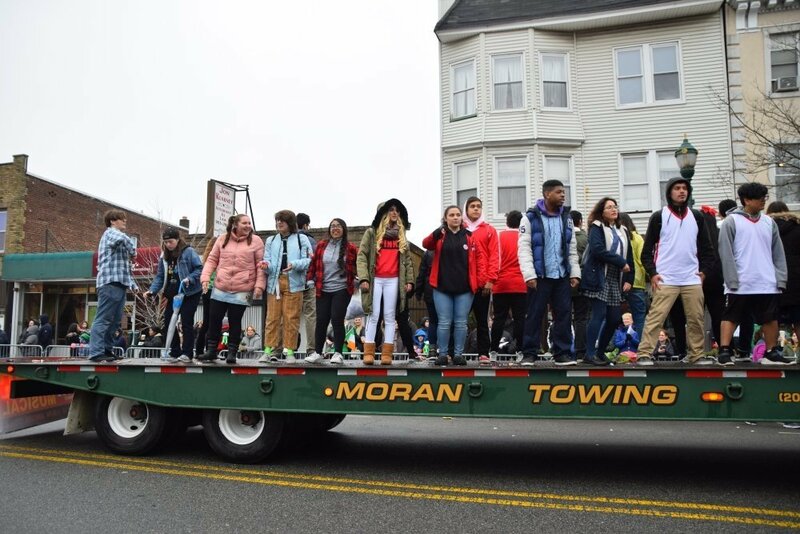 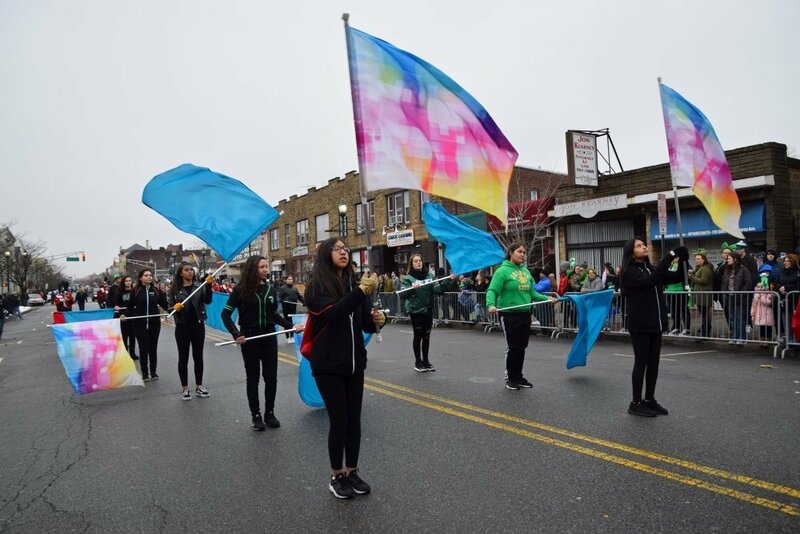 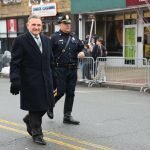 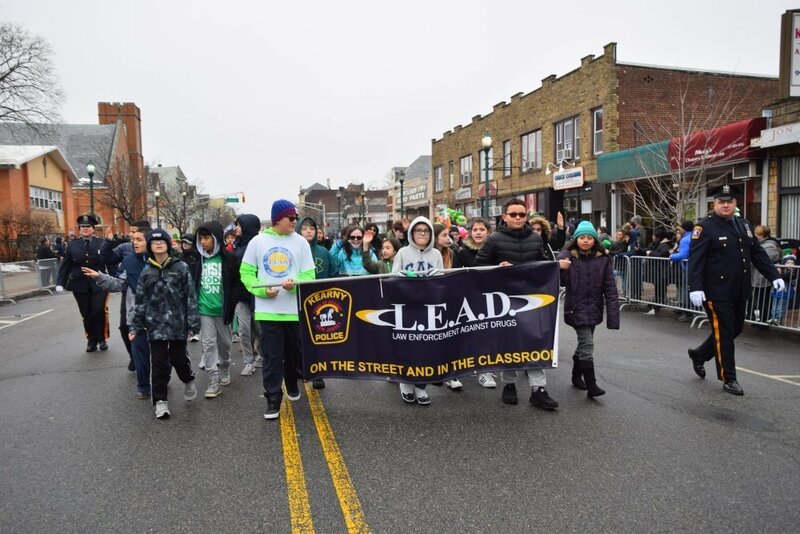 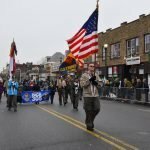 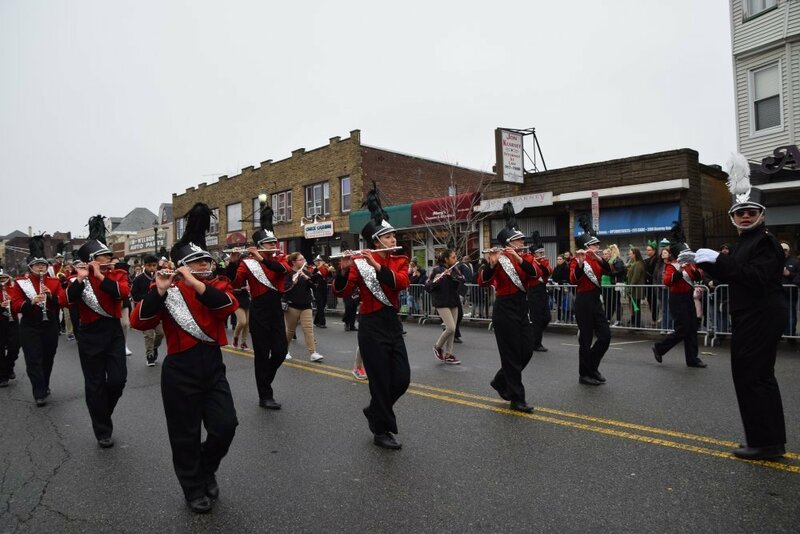 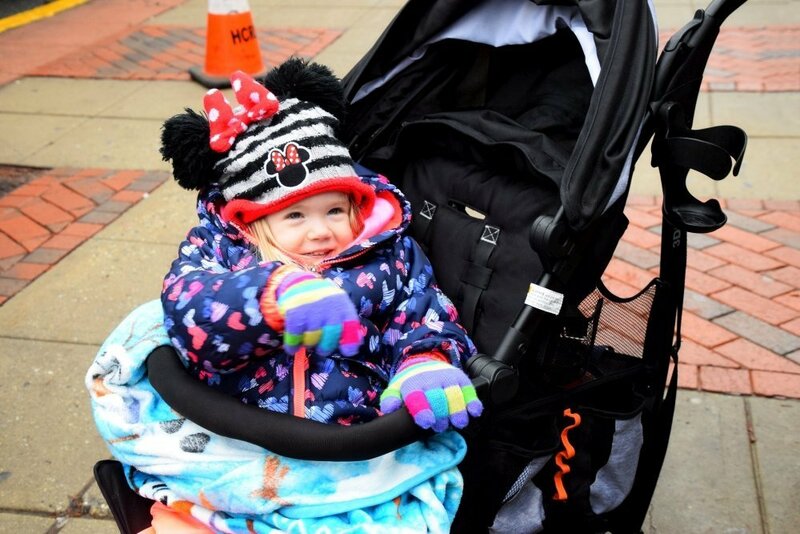 This year’s parade featured over 50 groups and 1,000 marchers and included local High School and Junior High School Marching Bands, Pipe Bands, Irish dancers, L.E.A.D. 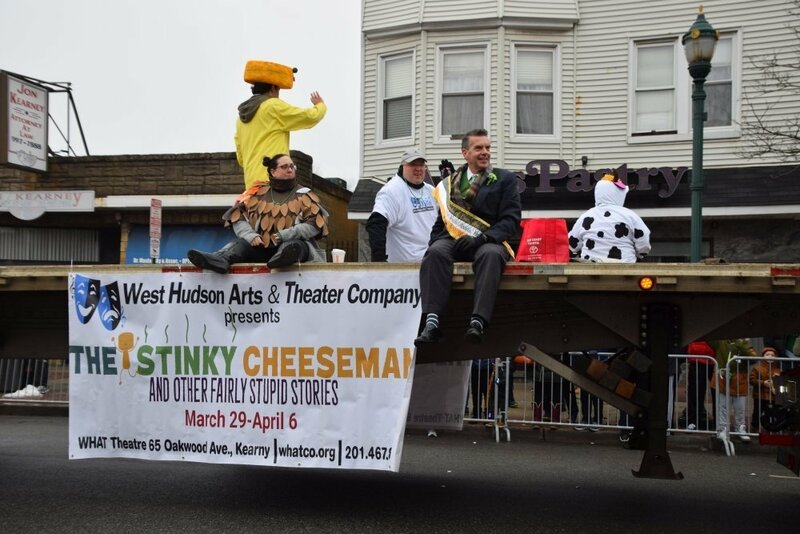 students, and floats from several local groups including the West Hudson Arts & Theater (W.H.A.T.) 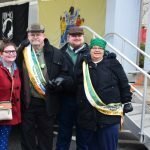 group. 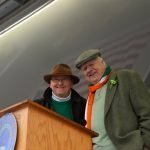 It was a great day to be Irish! 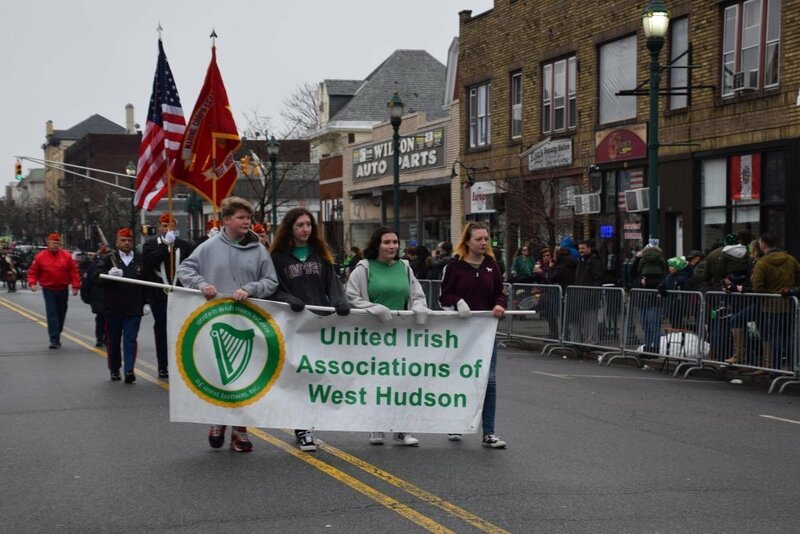 Mayor Alberto G. Santos and the Town Council extend sincere thanks to the United Irish Associations of West Hudson and all participants and spectators for making this year’s St. Patrick’s Day celebration a great success.